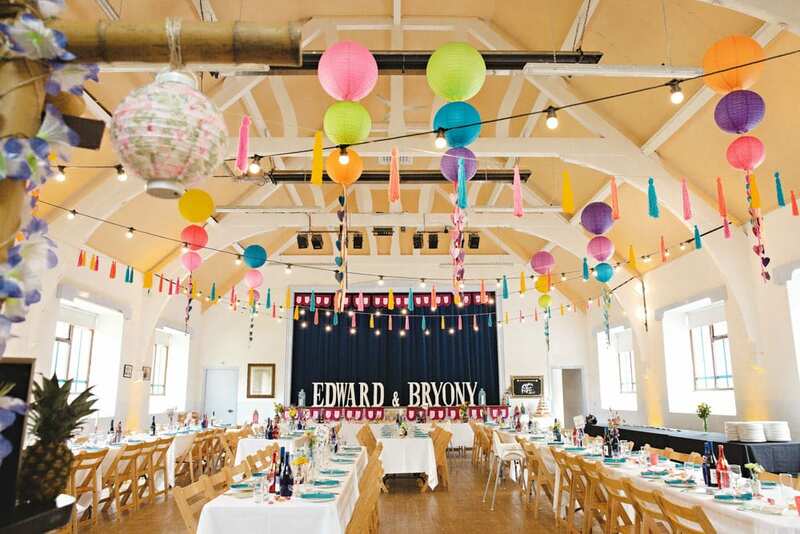 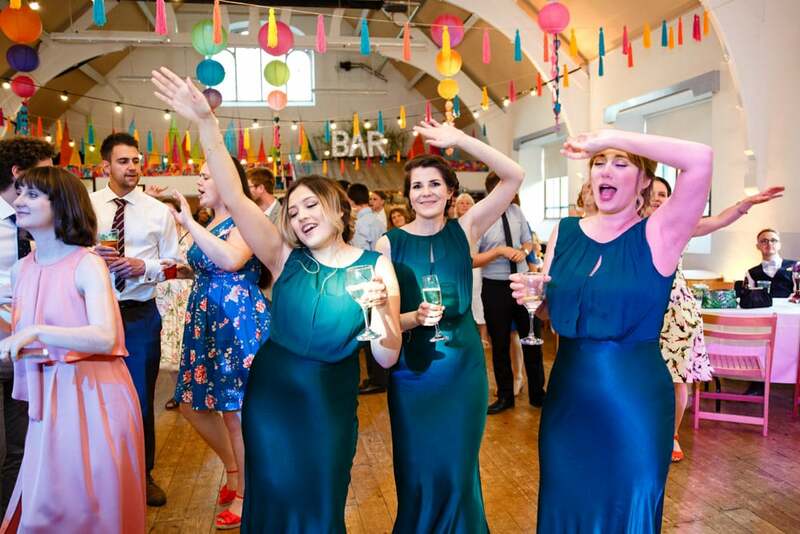 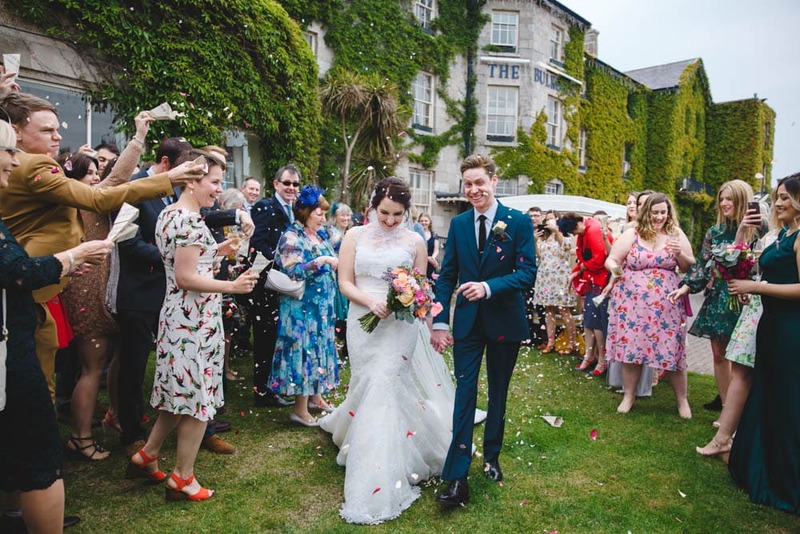 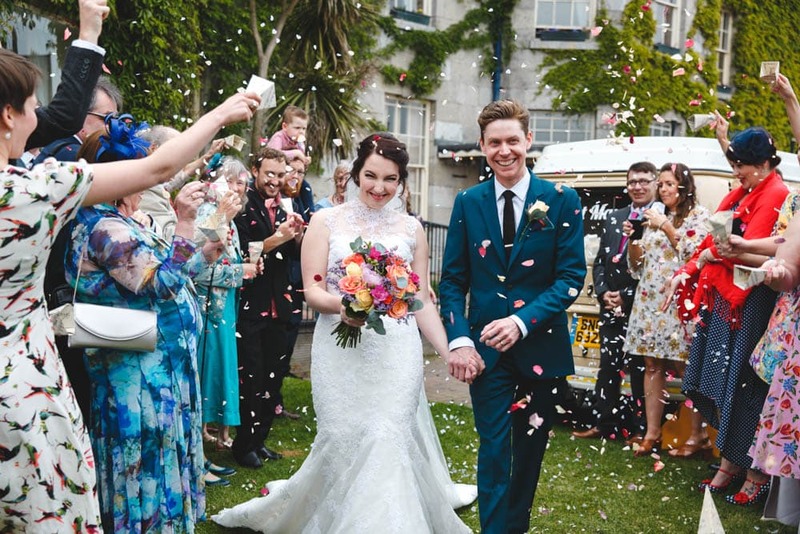 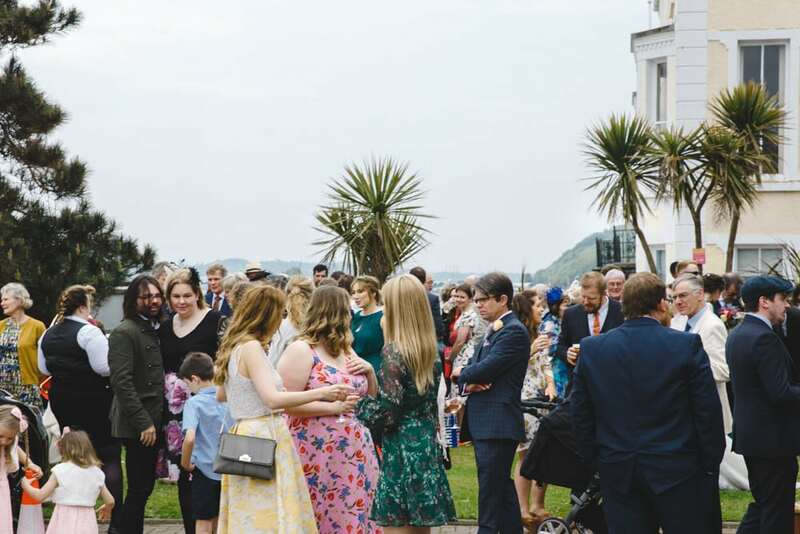 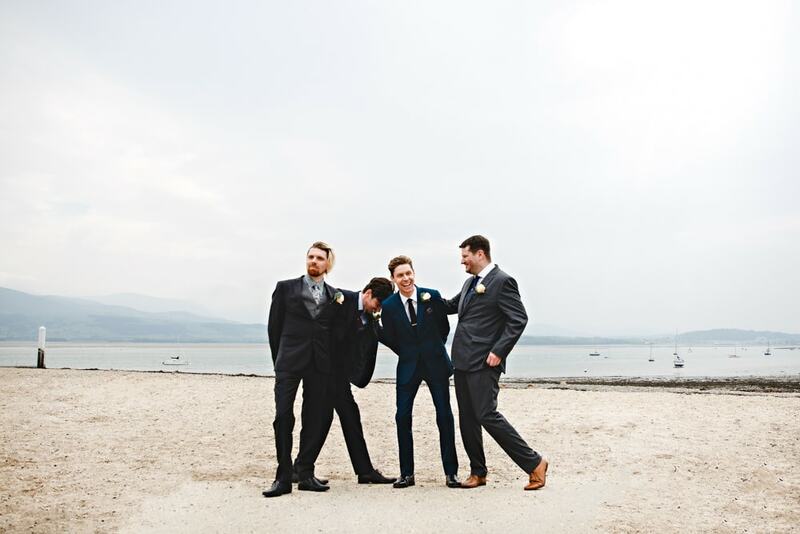 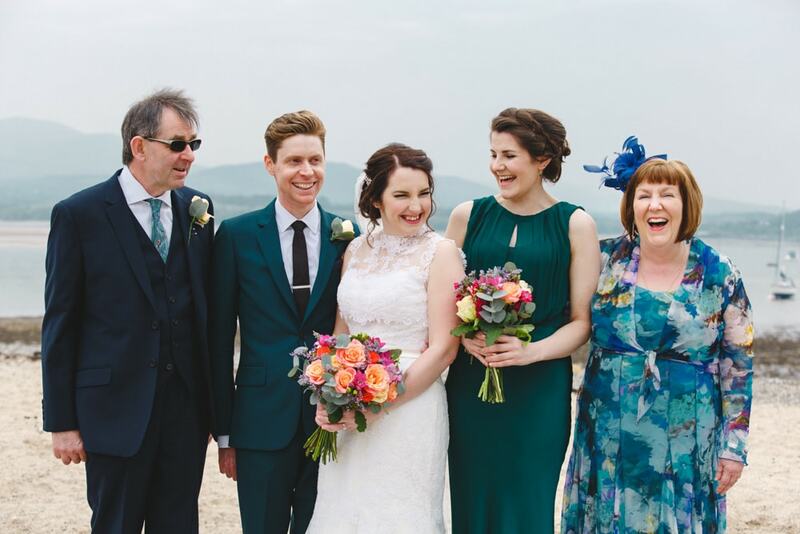 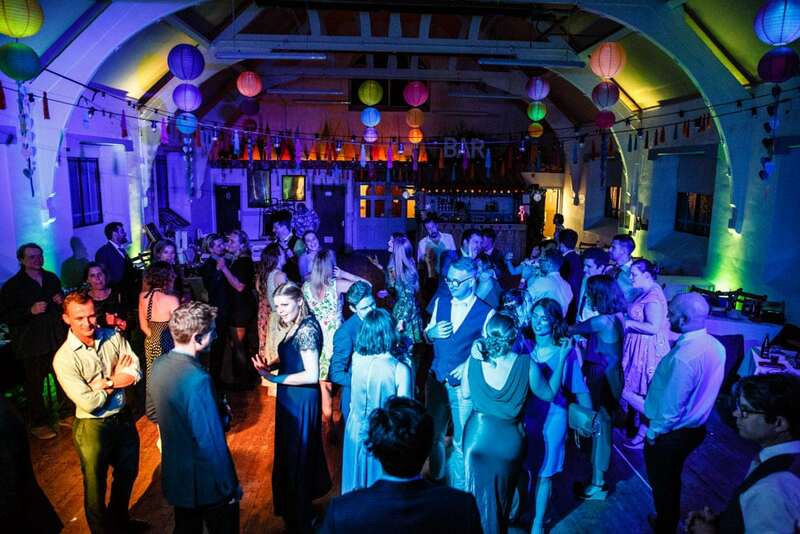 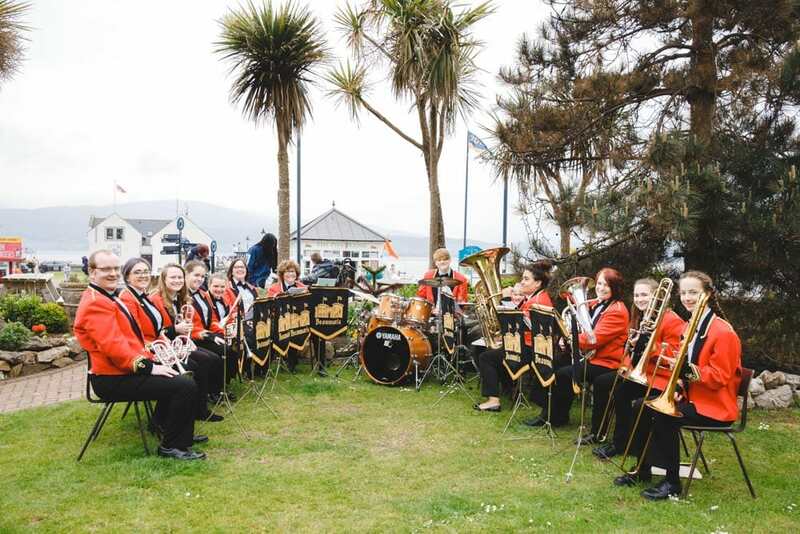 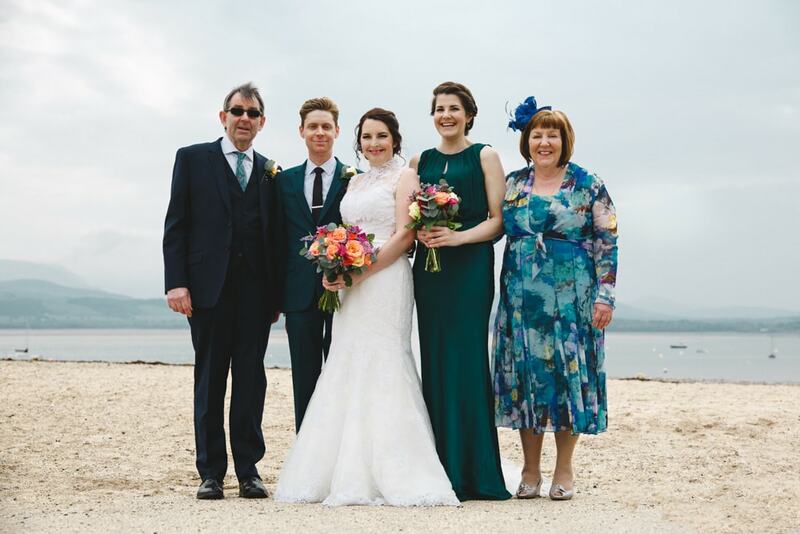 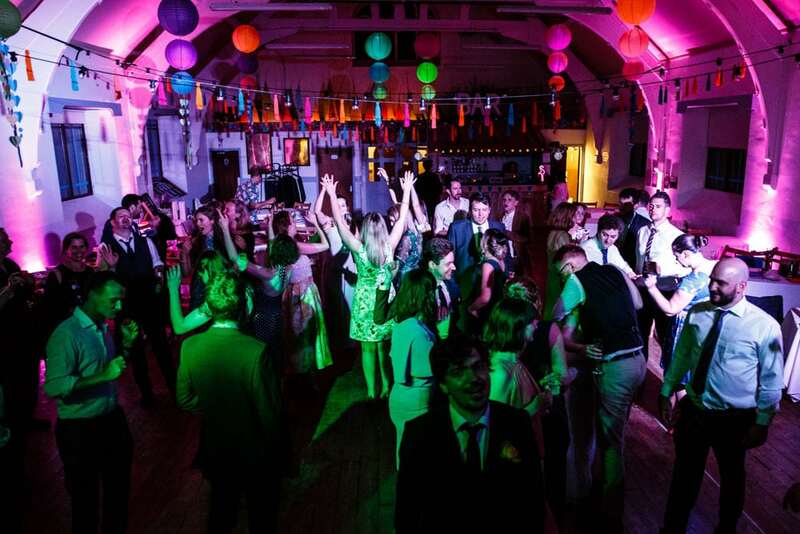 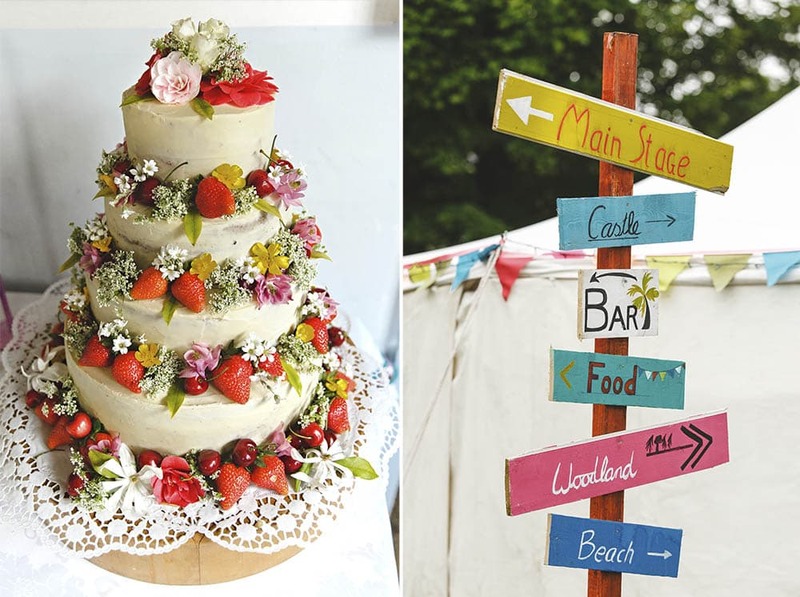 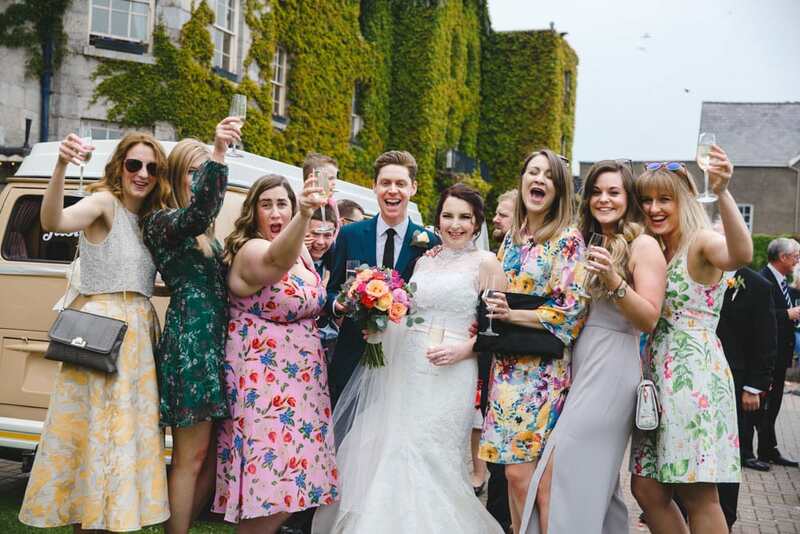 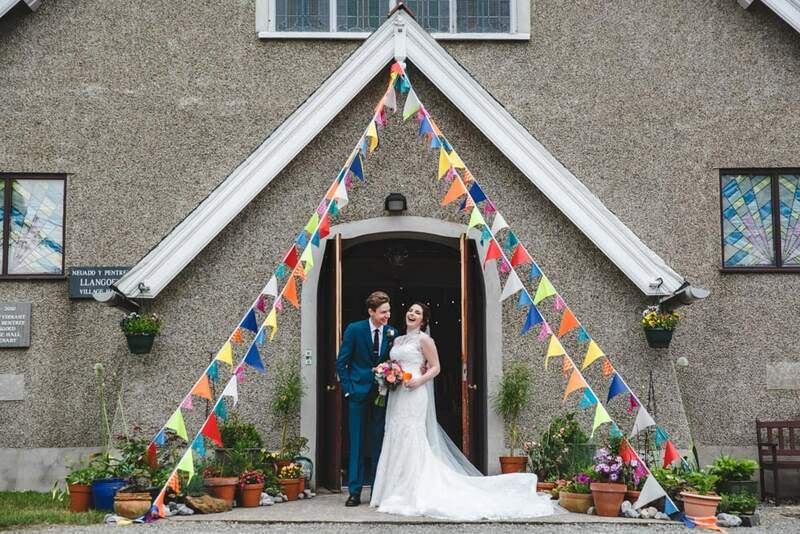 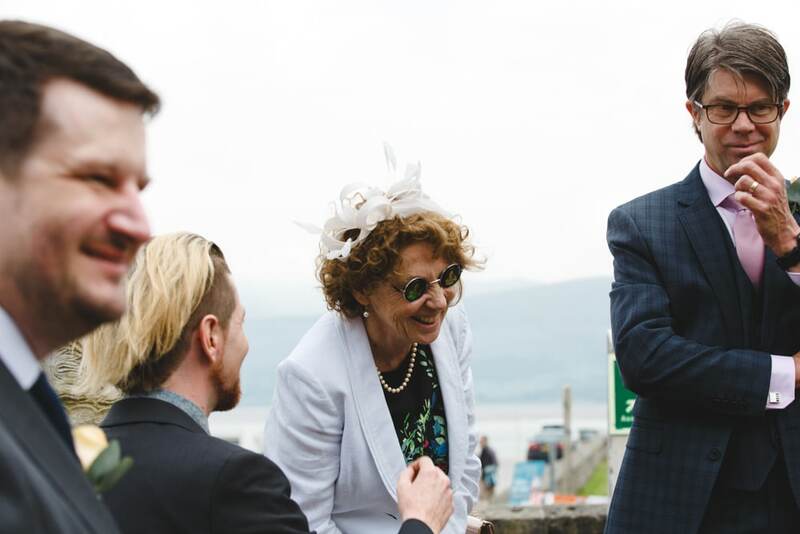 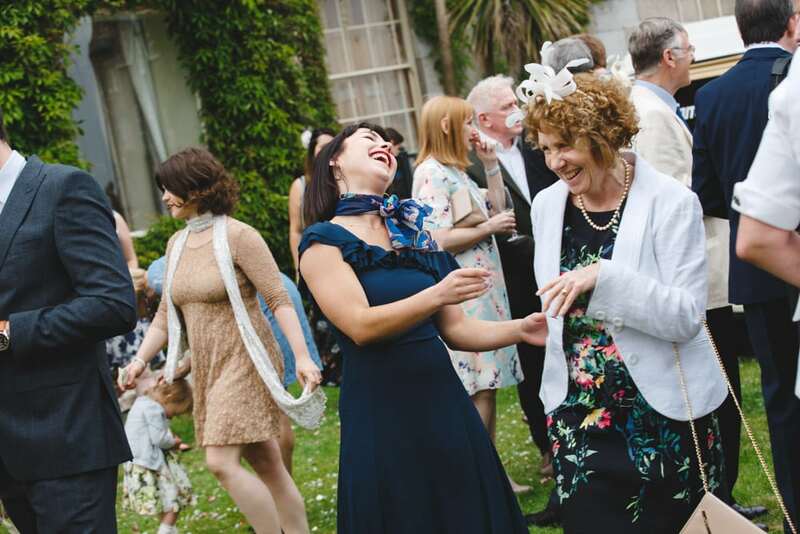 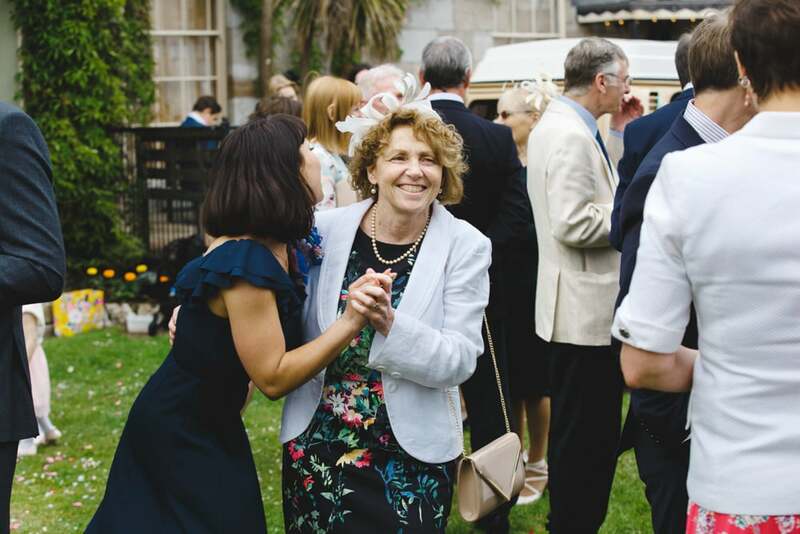 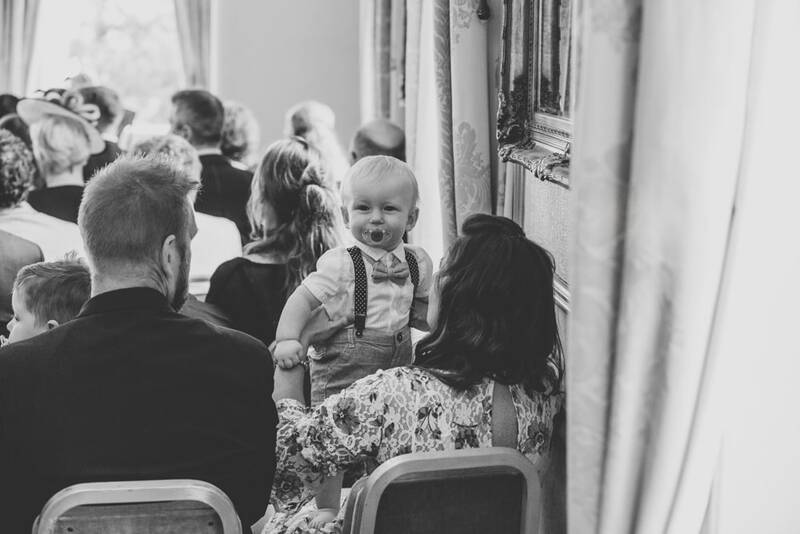 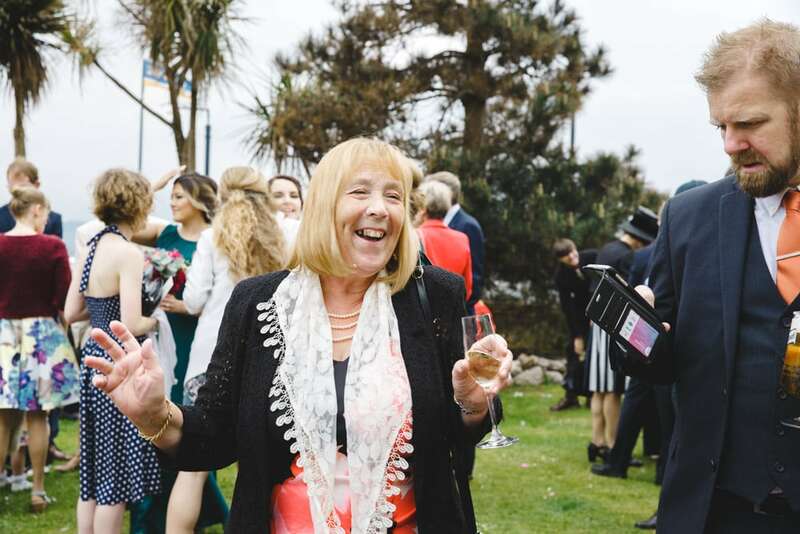 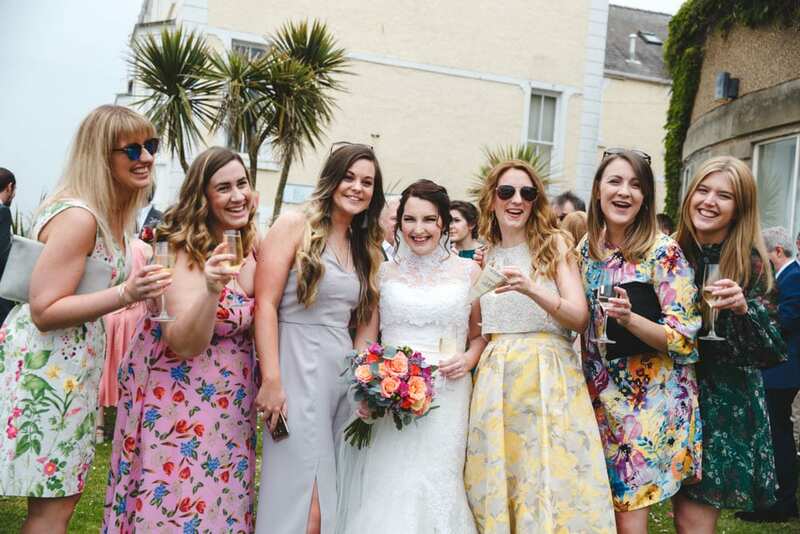 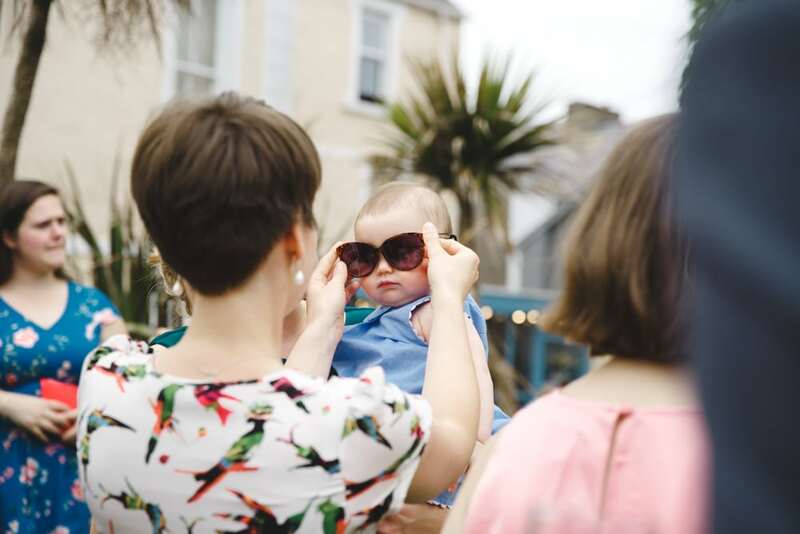 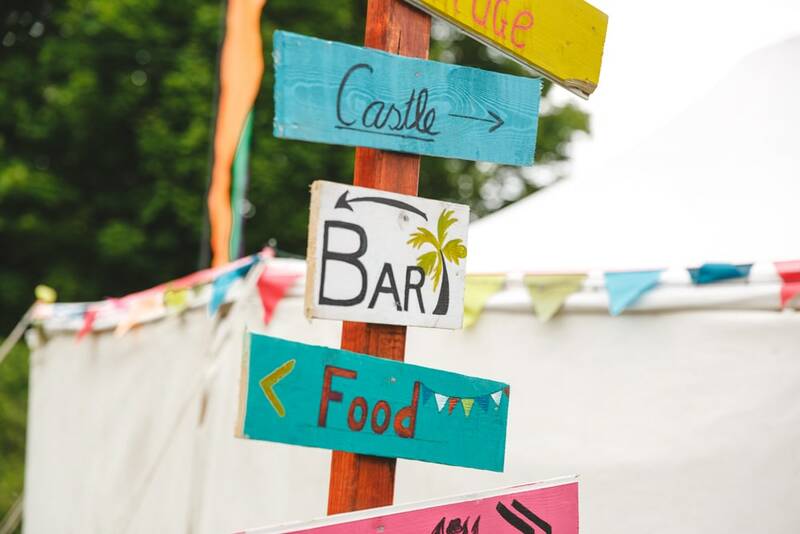 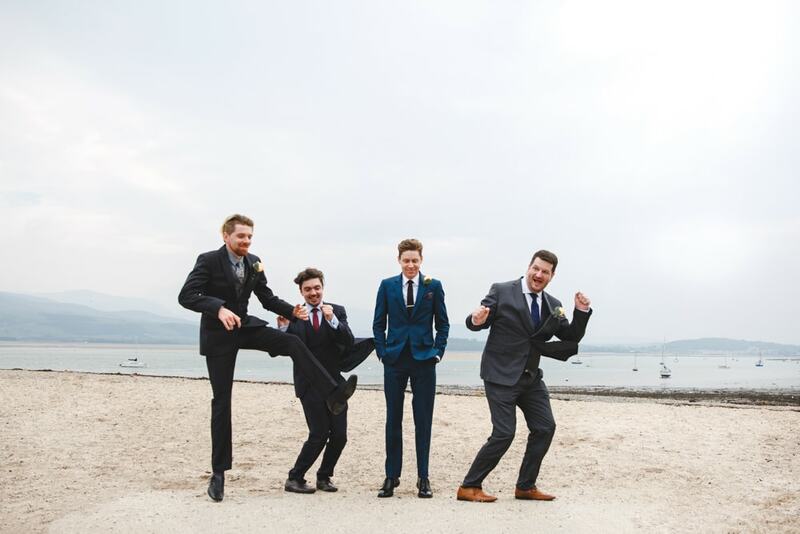 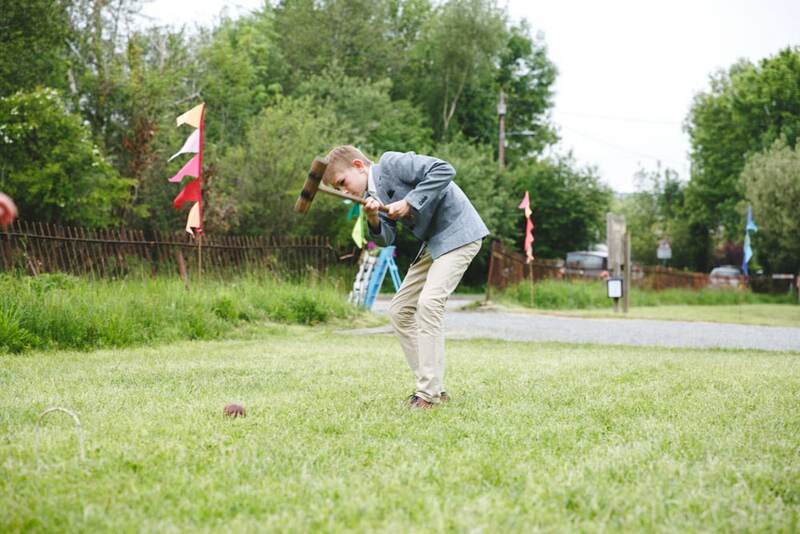 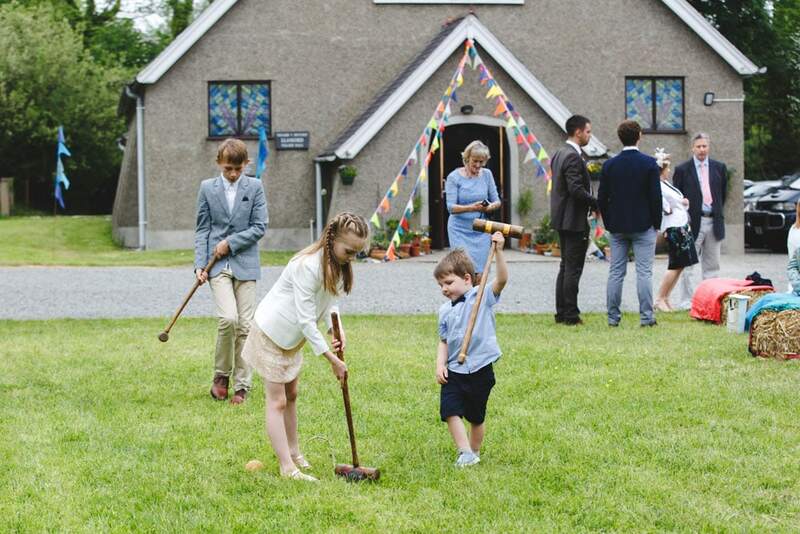 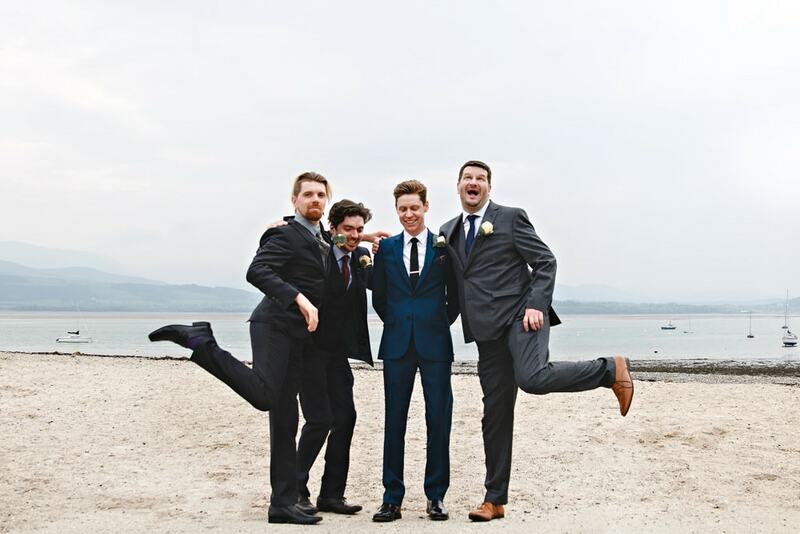 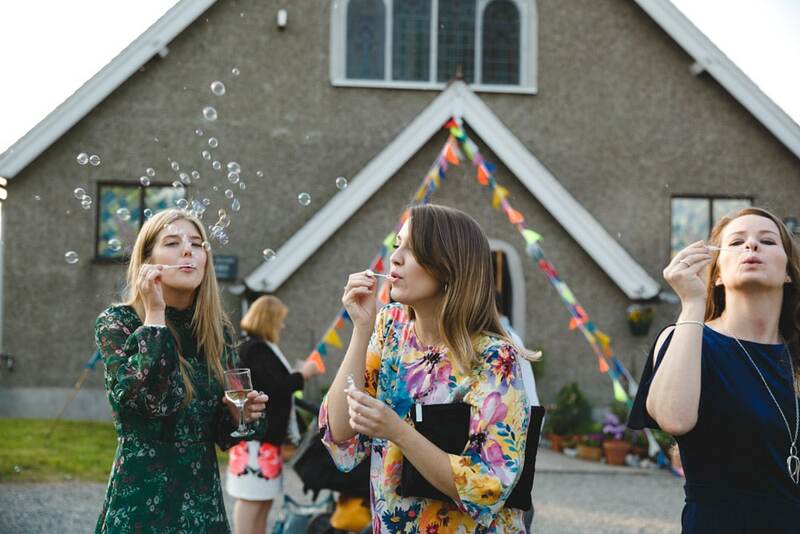 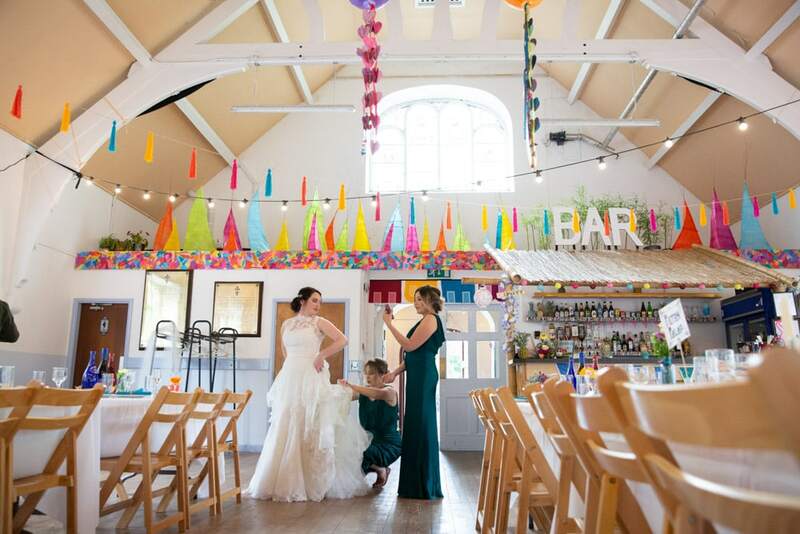 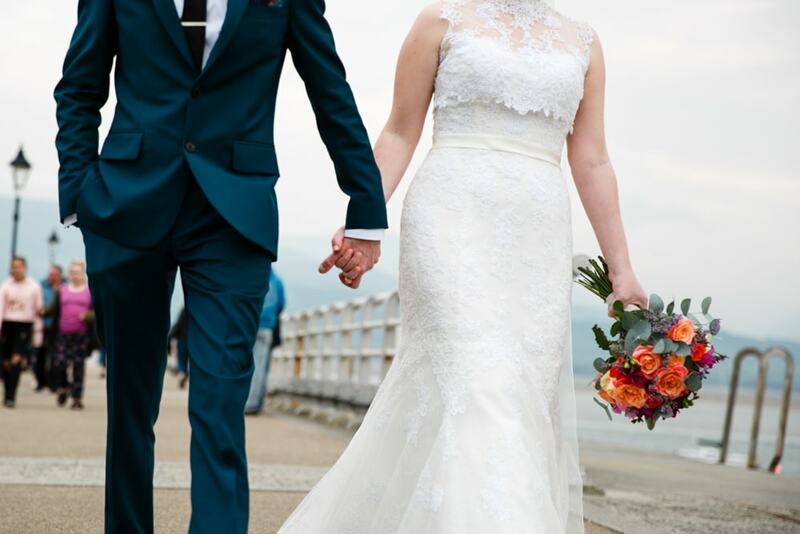 Ed + Bryony’s Festival Themed Beaumaris Wedding, where do I start. 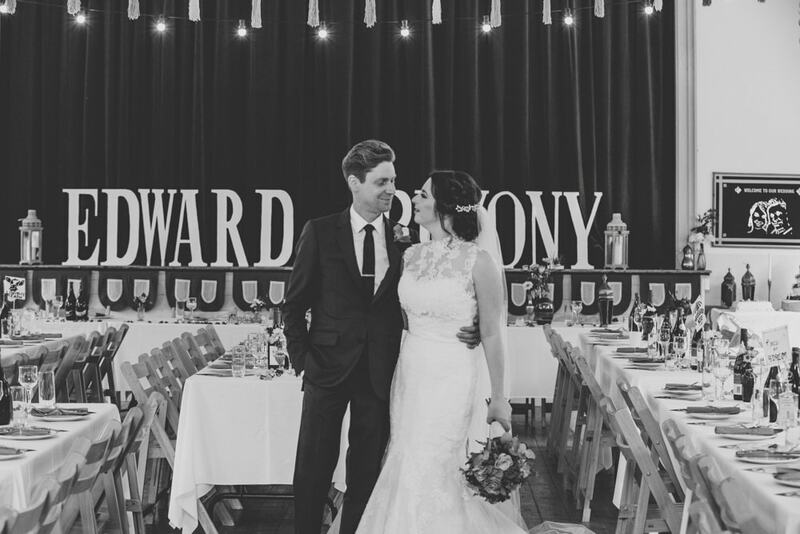 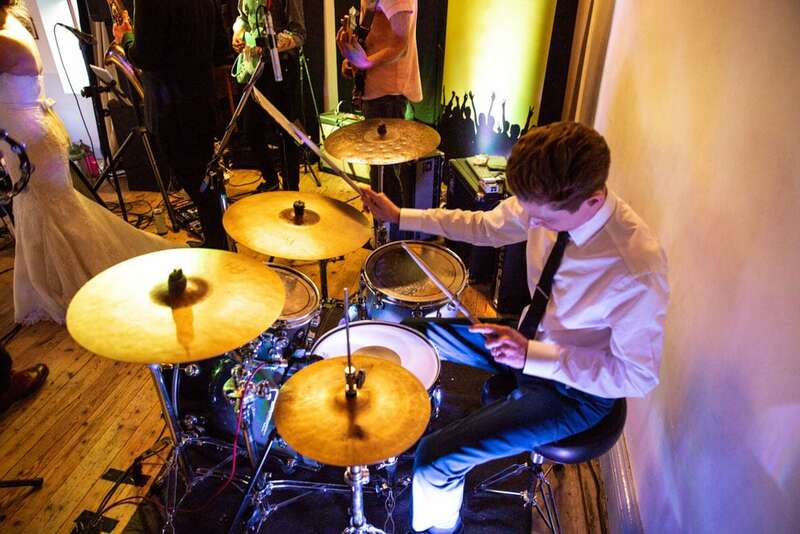 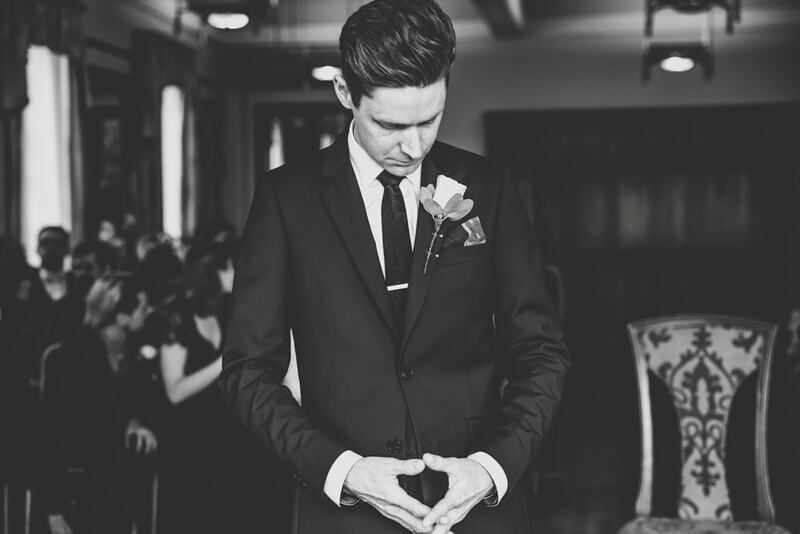 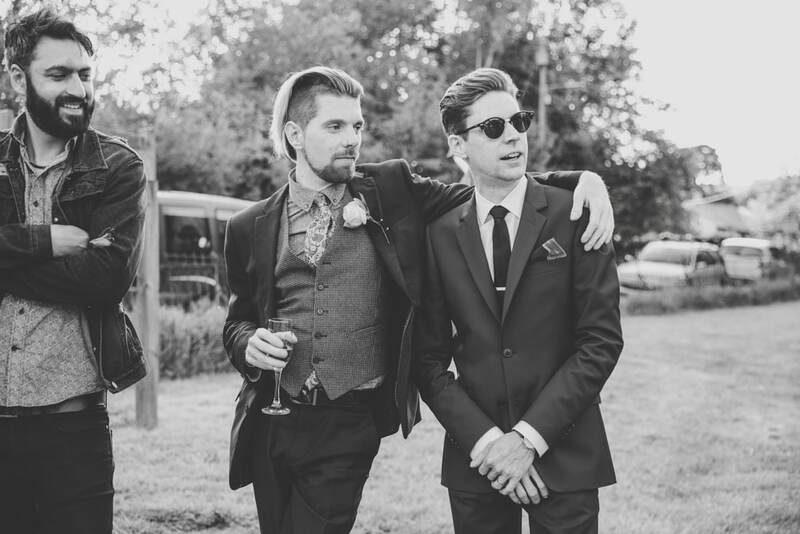 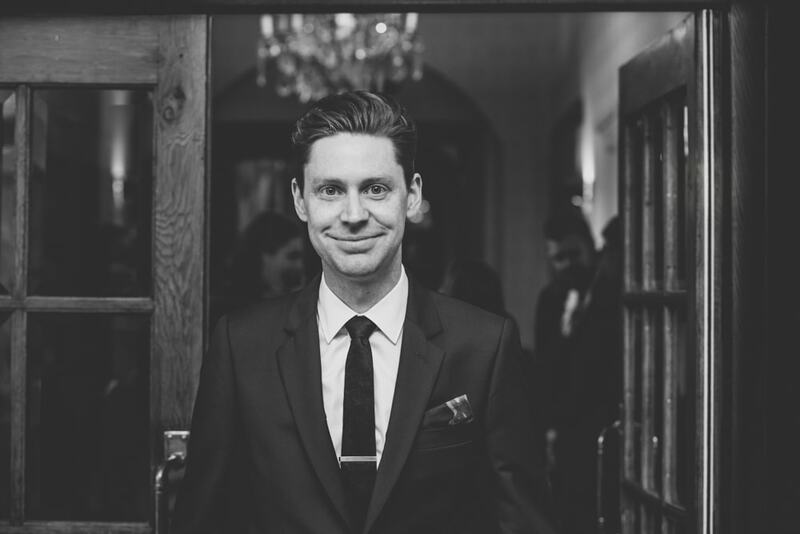 We’ve known Ed for a long time as he’s the drummer in my band, John and I were both in Elbowroom The Band, but since photography took over, John left and the band changed to Hit-The-Floor so go check it out if you need a Fun and Energetic Live Wedding Band (always room for promotion lol). 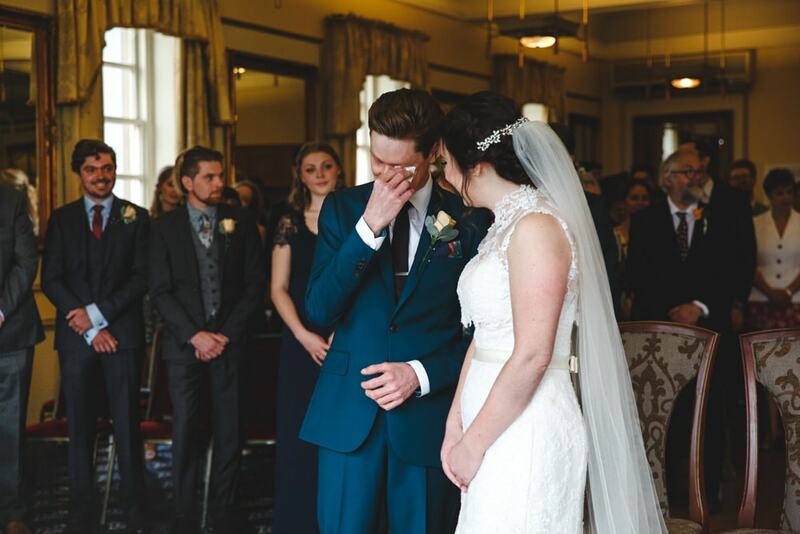 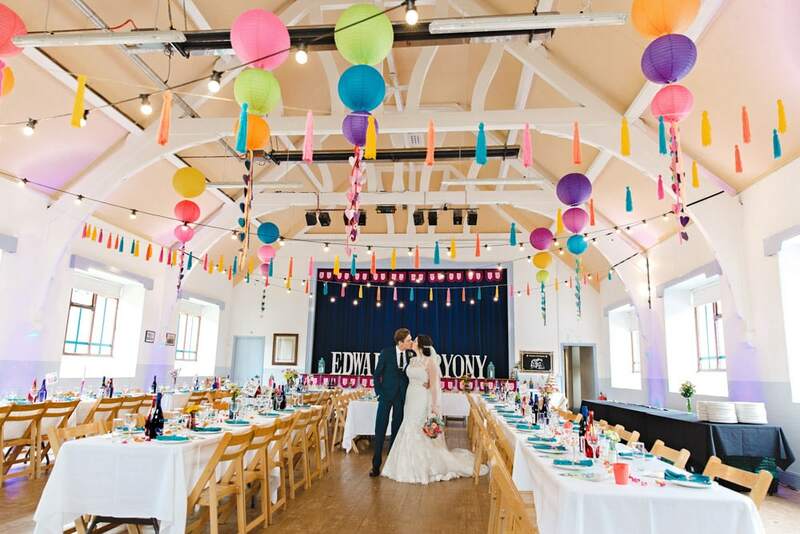 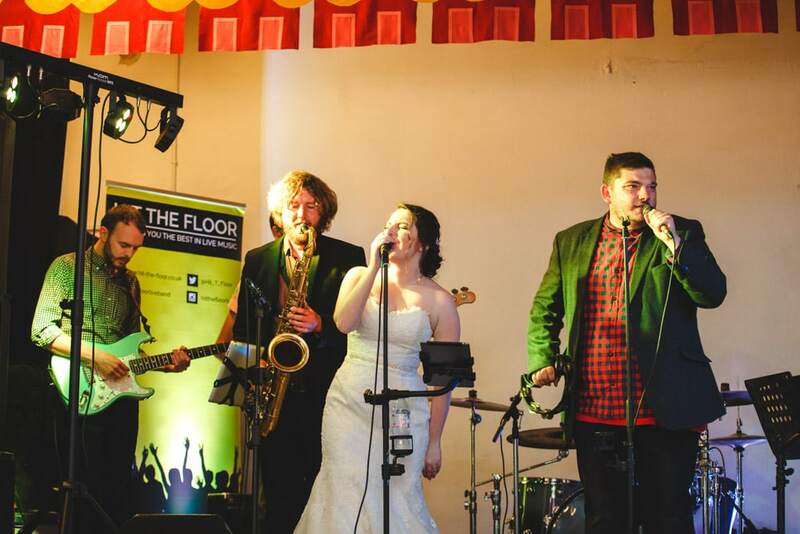 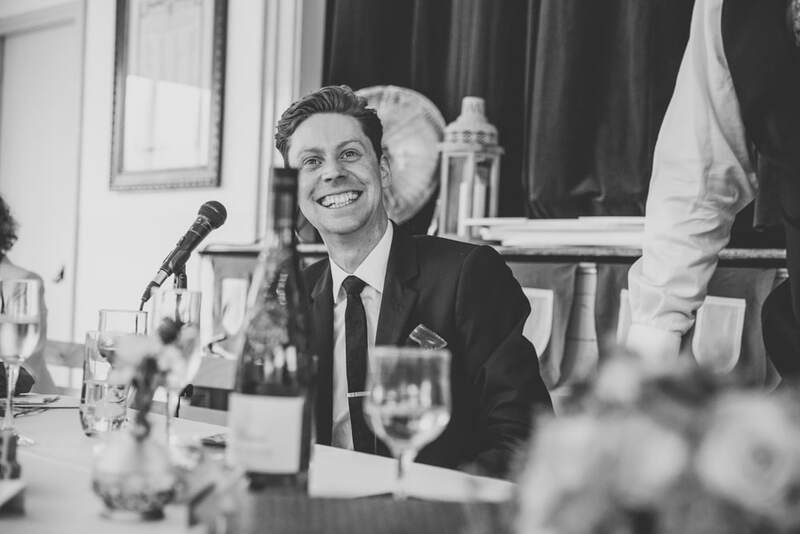 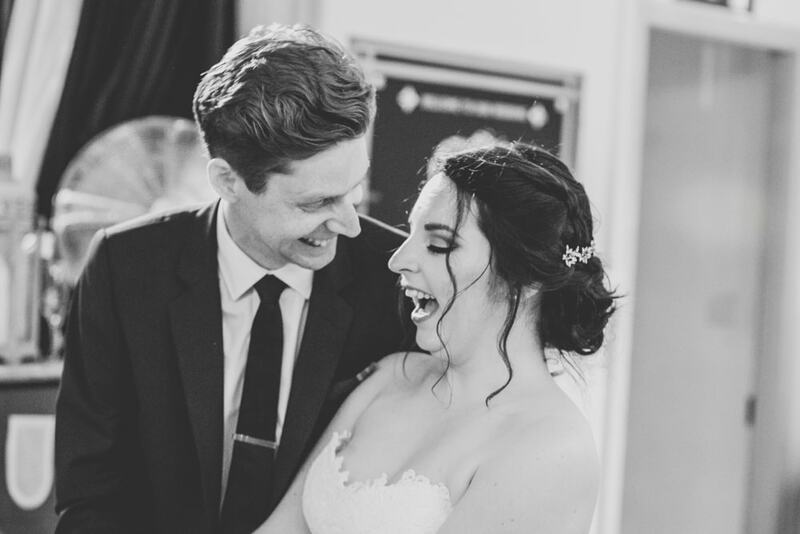 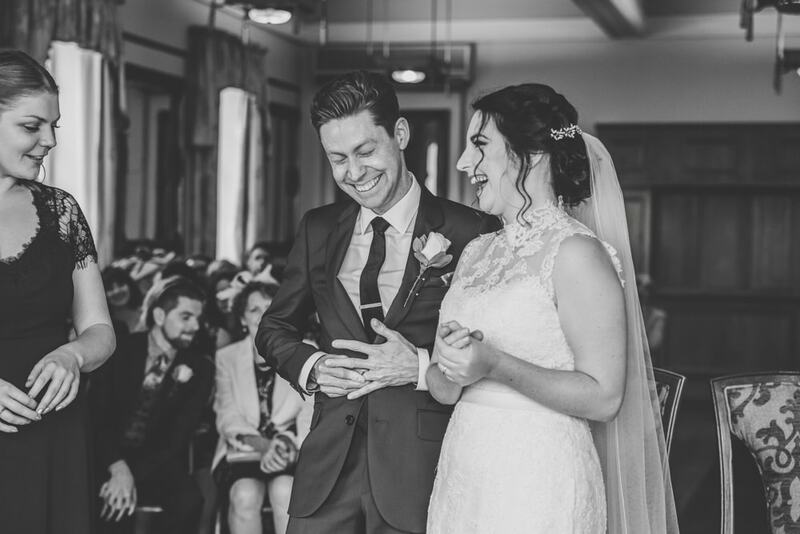 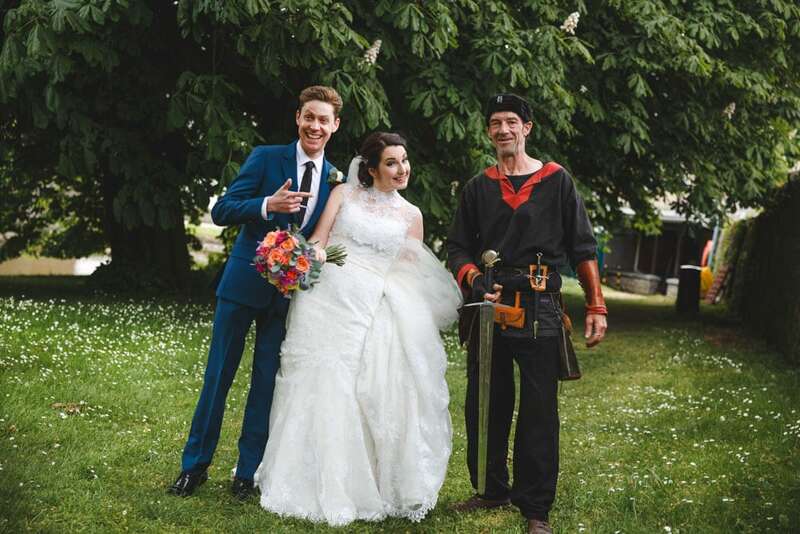 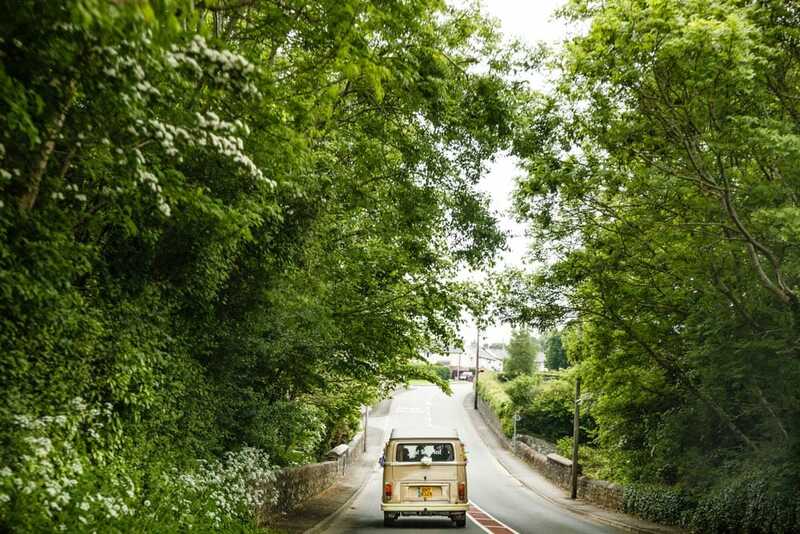 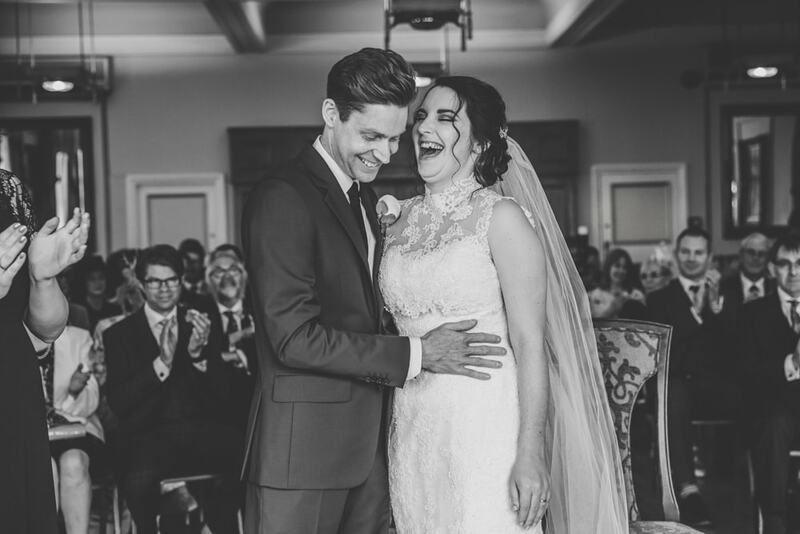 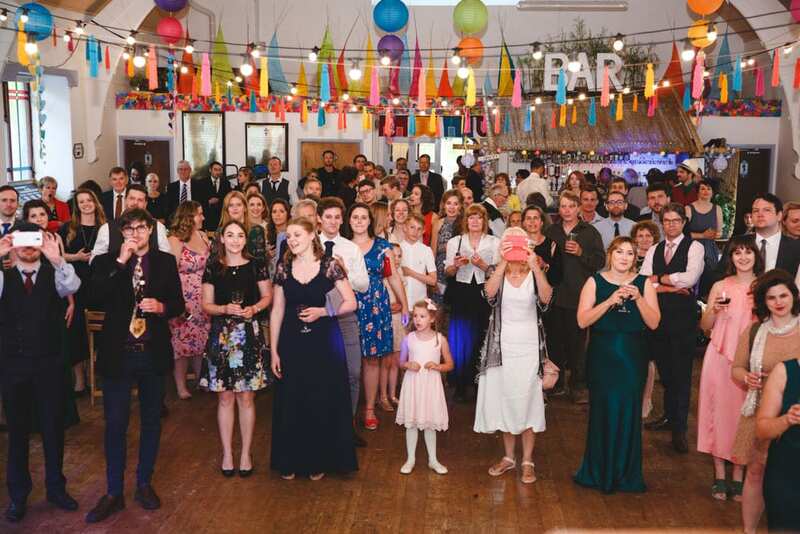 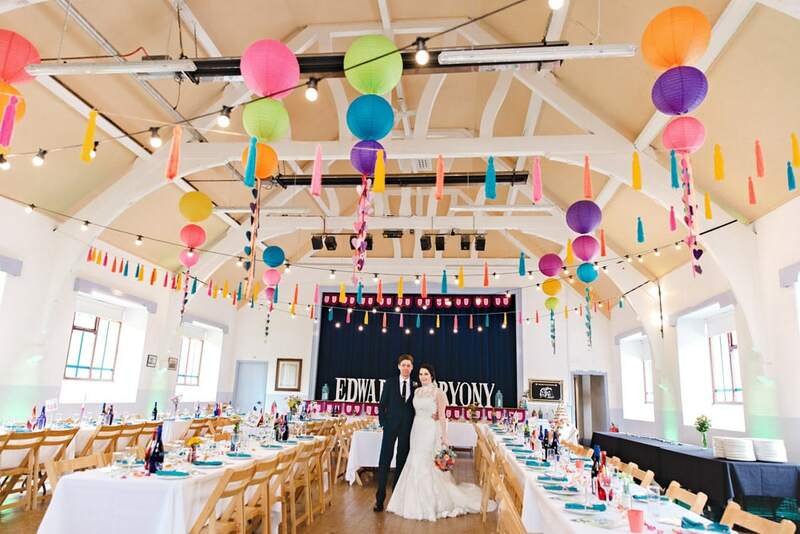 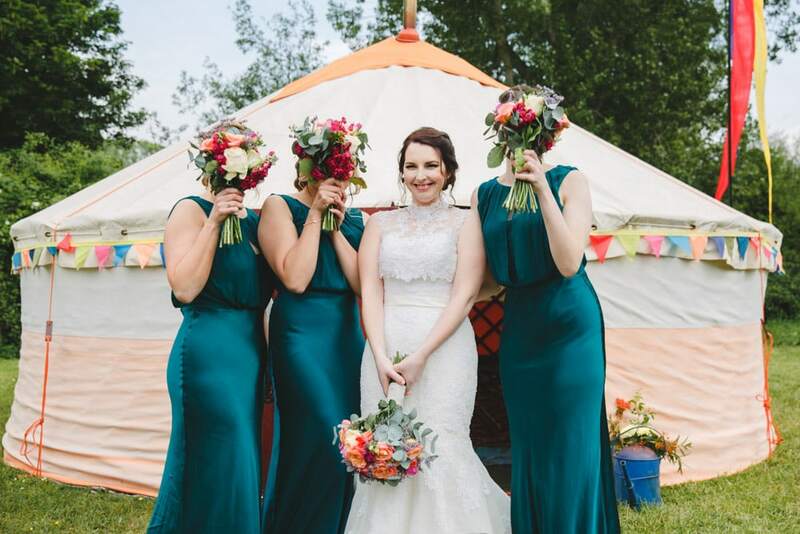 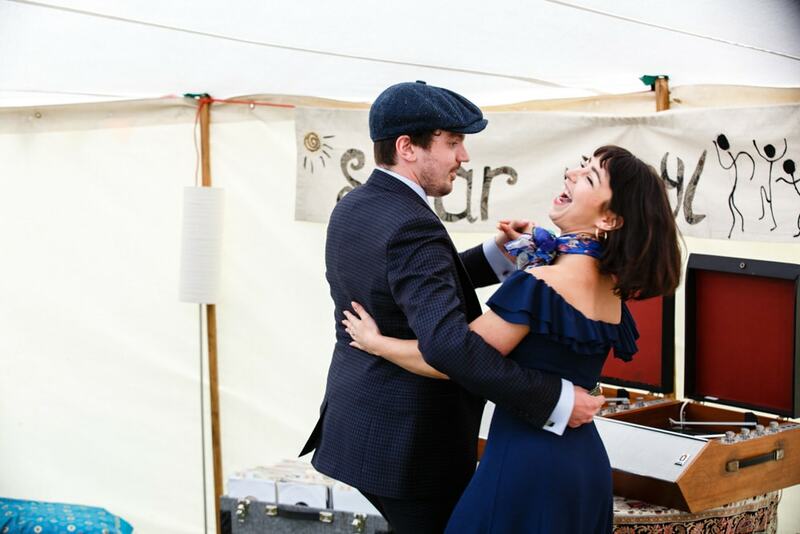 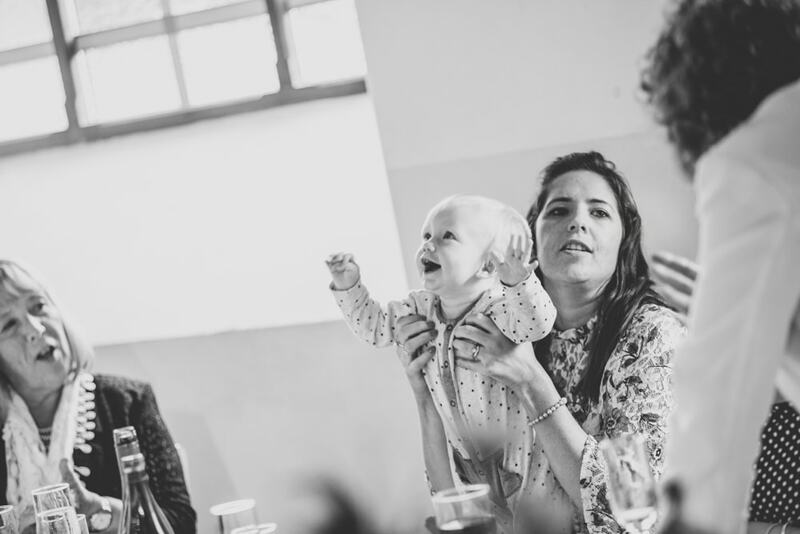 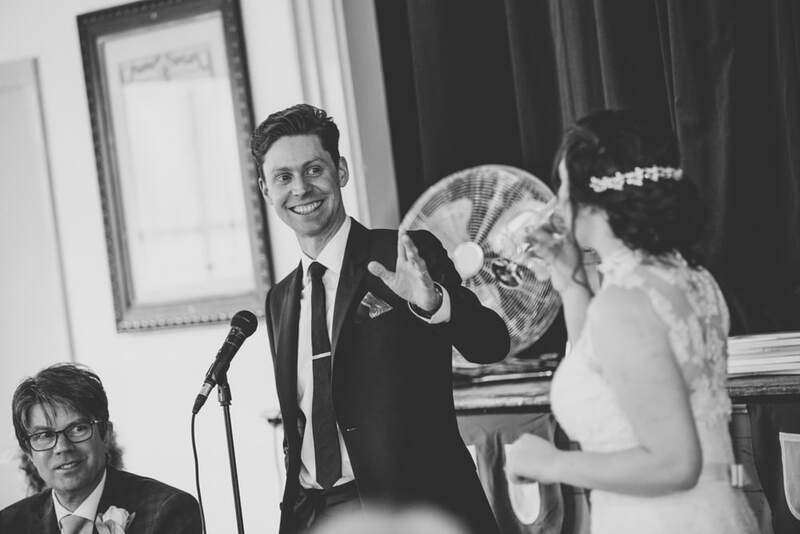 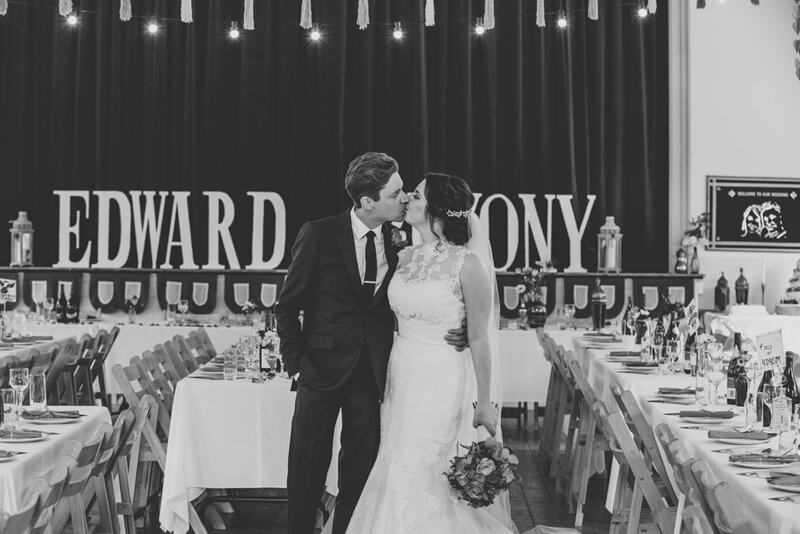 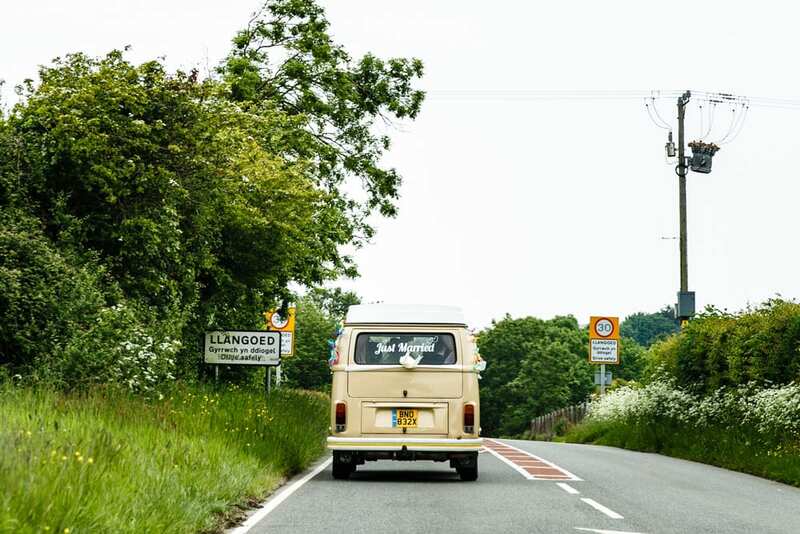 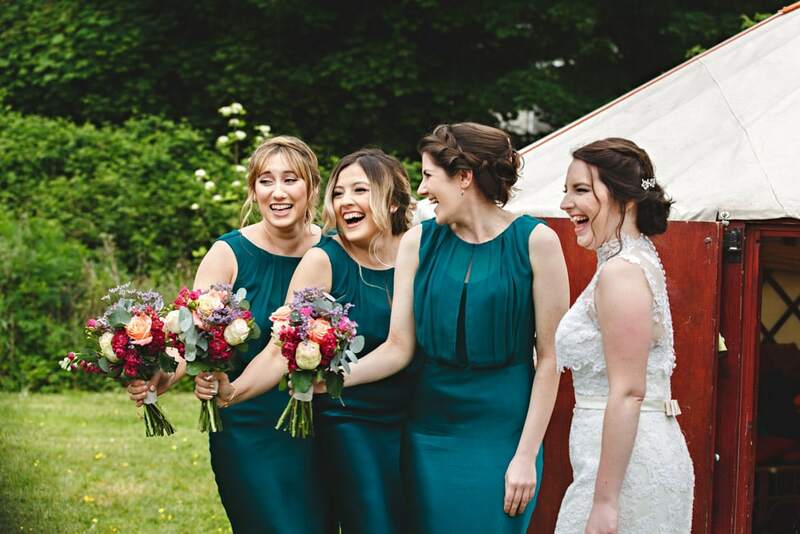 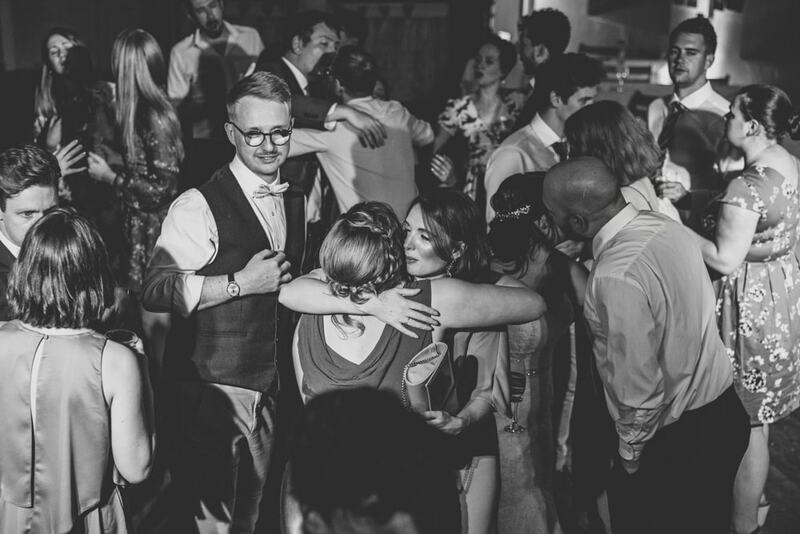 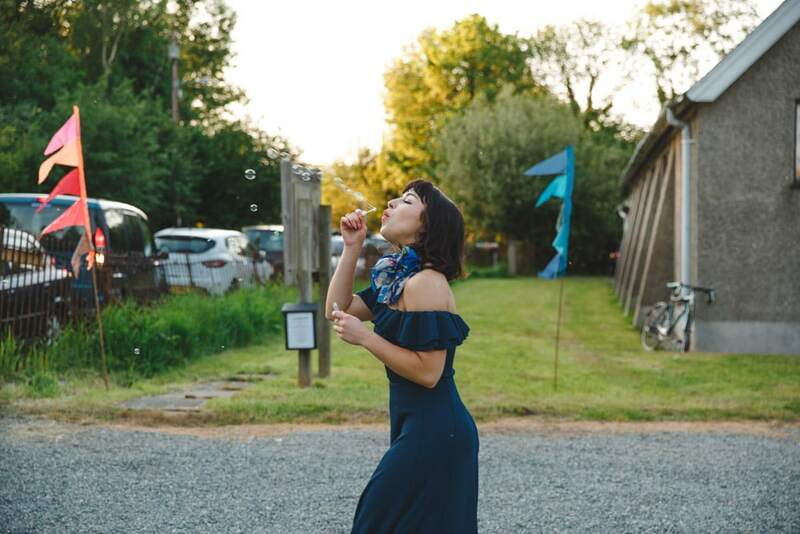 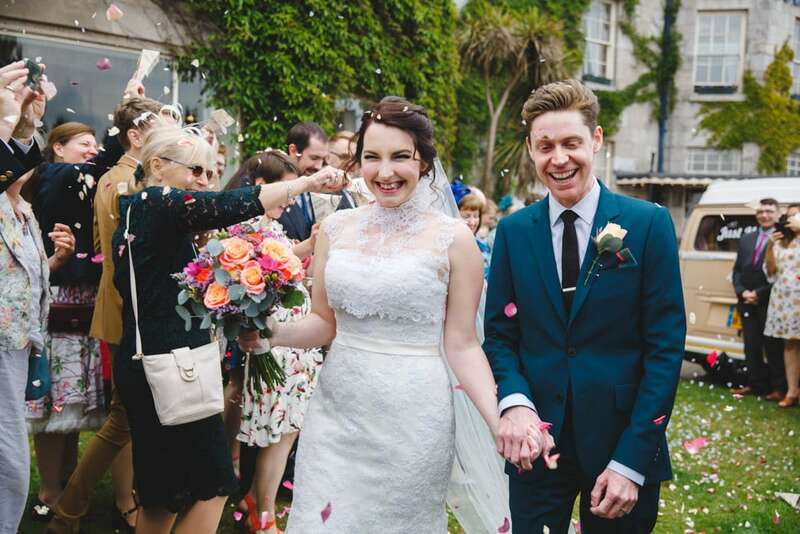 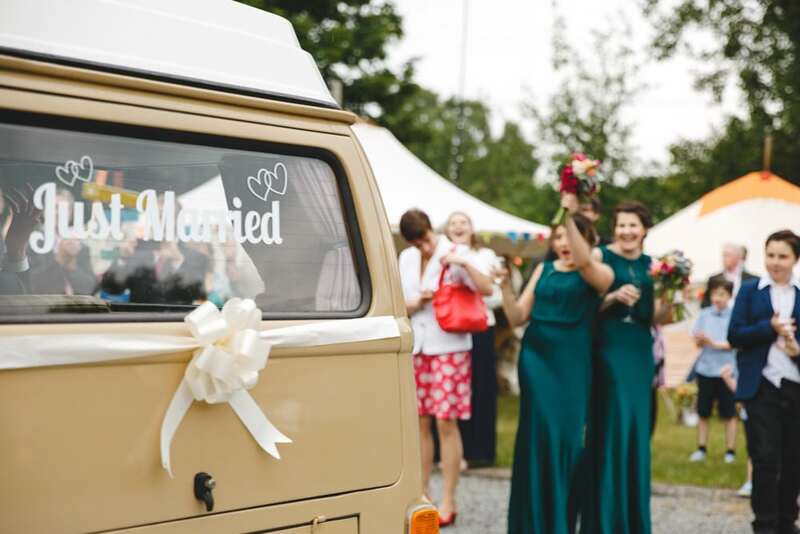 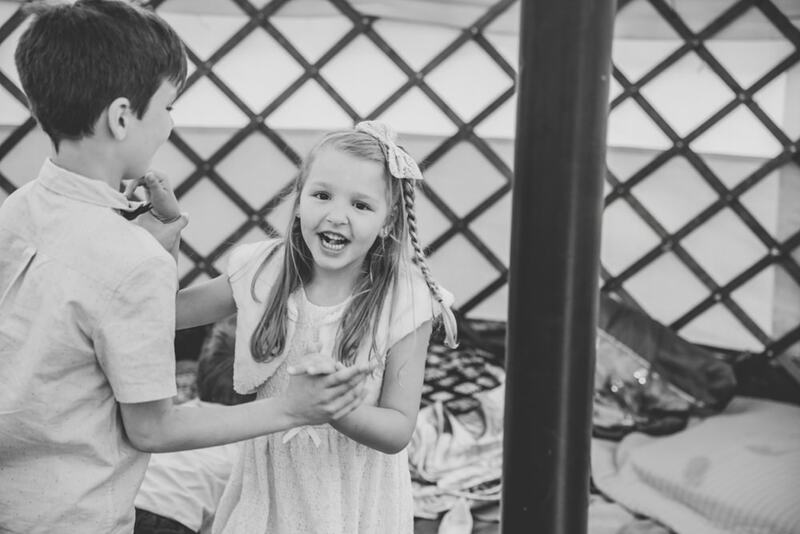 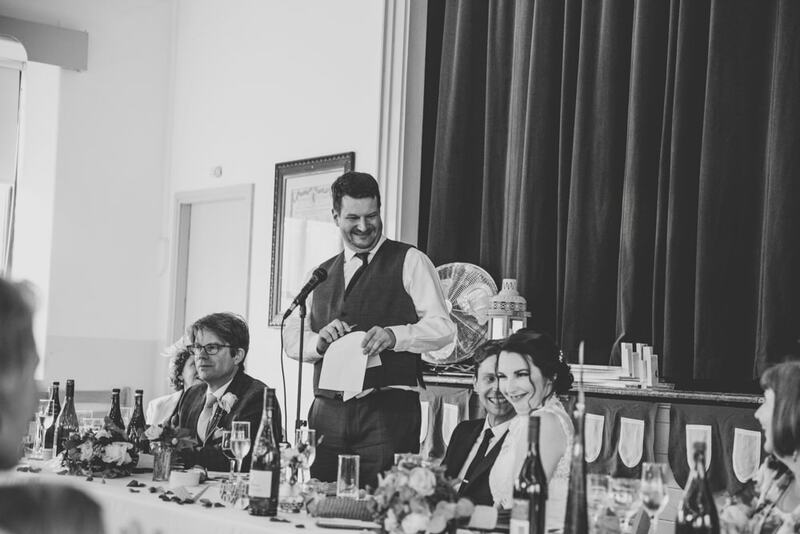 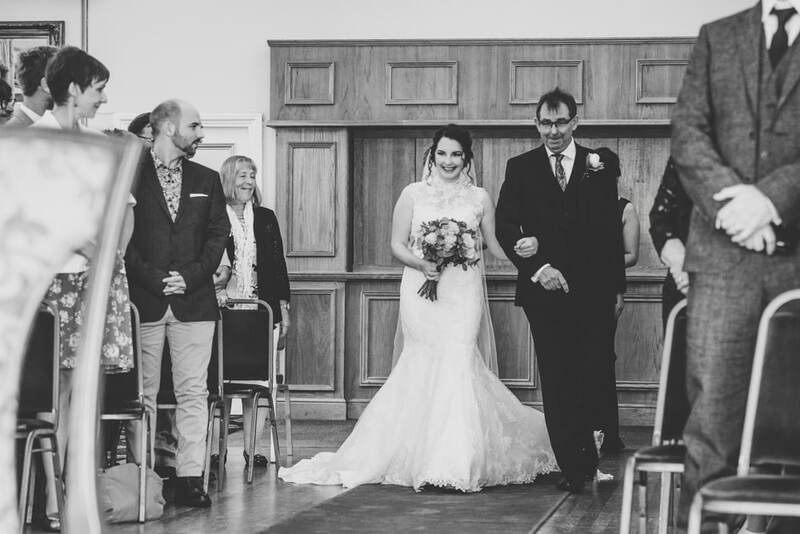 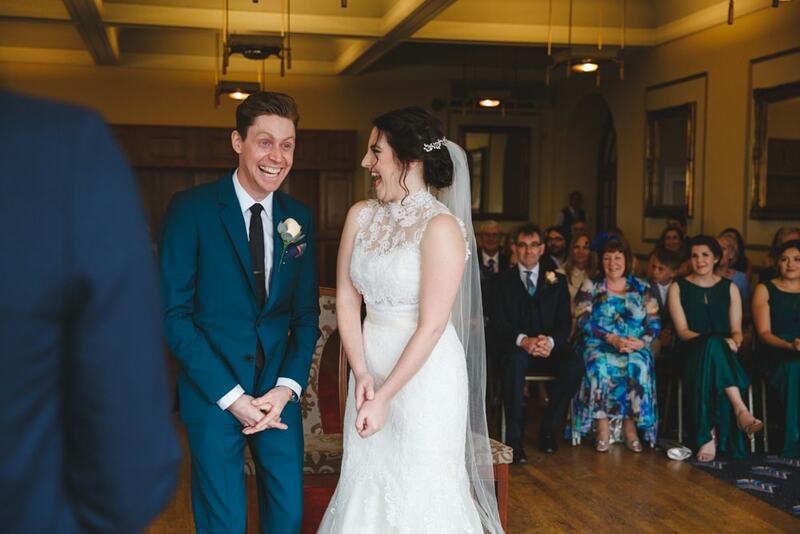 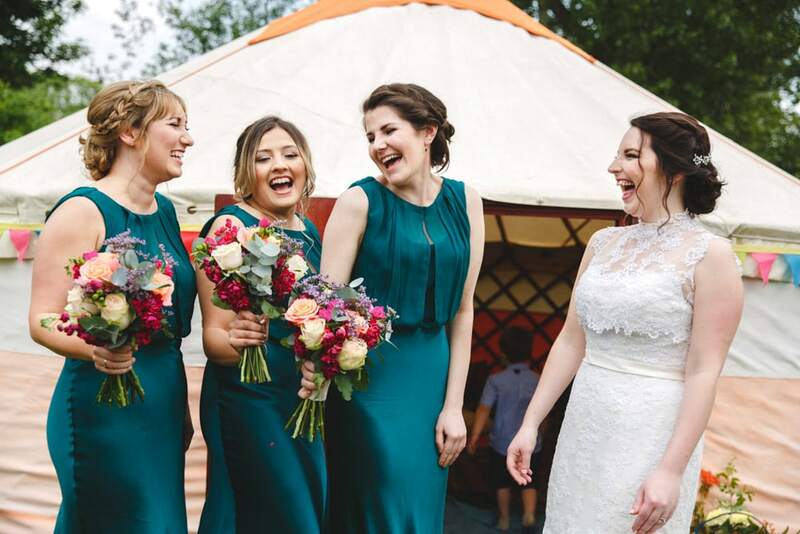 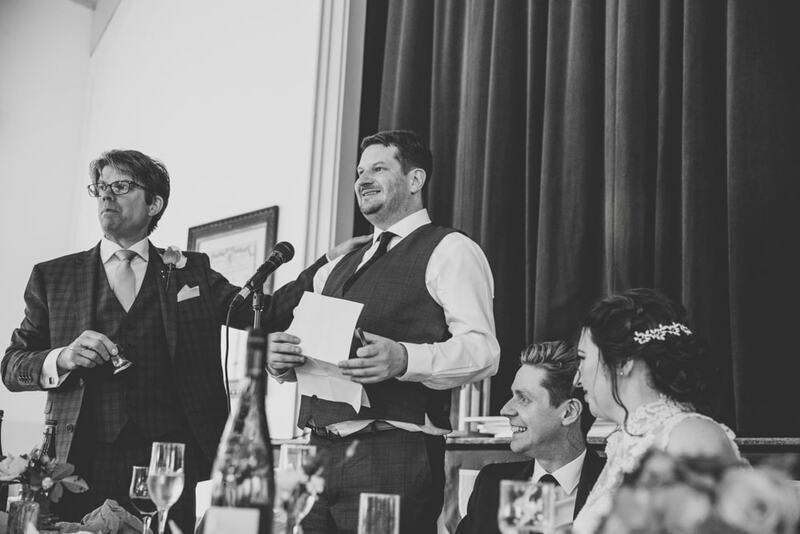 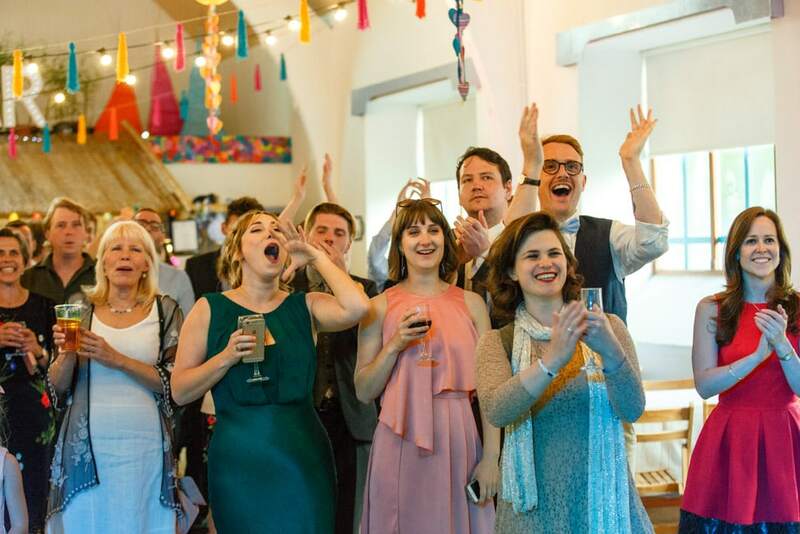 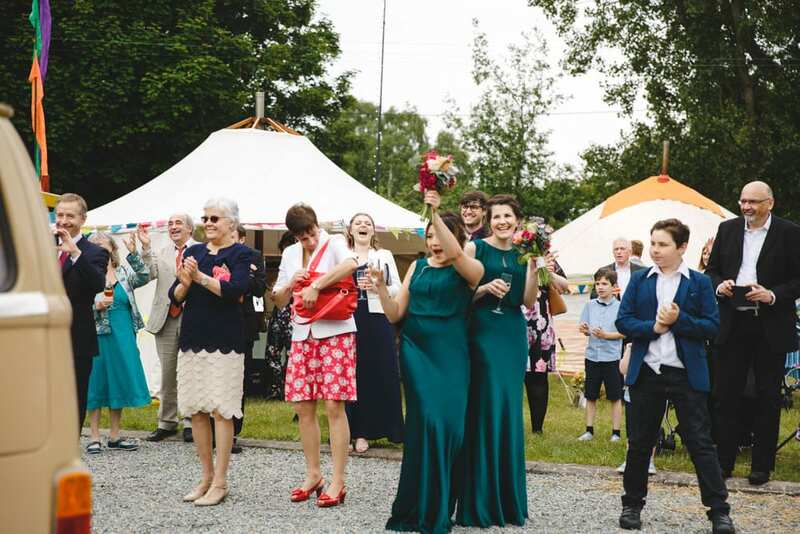 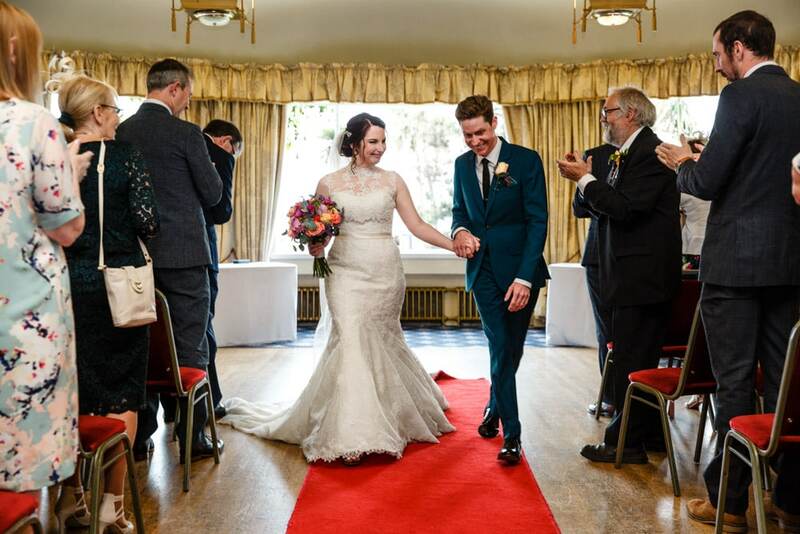 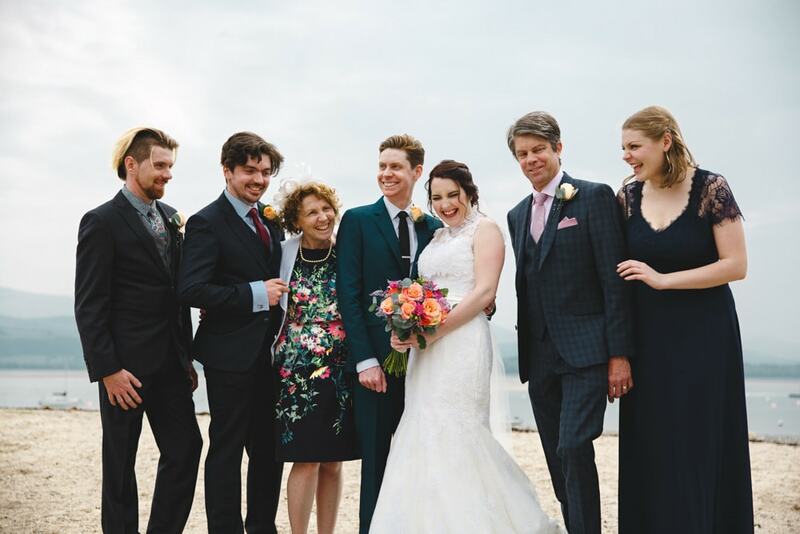 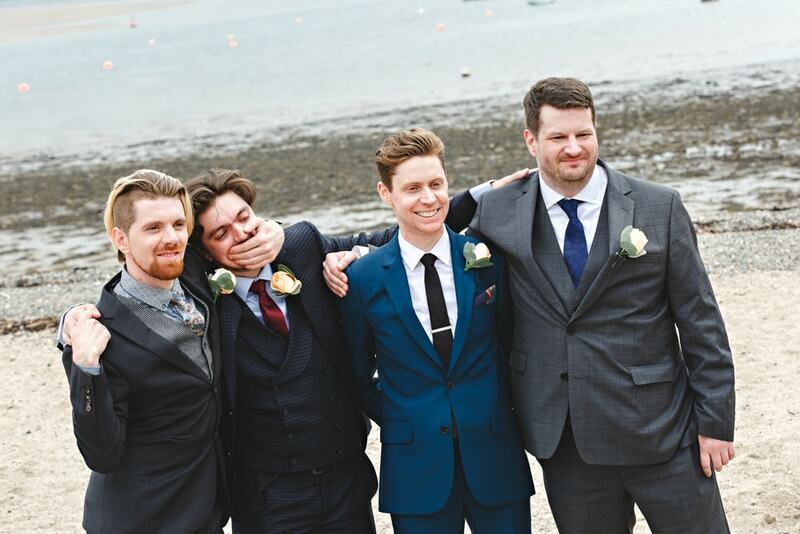 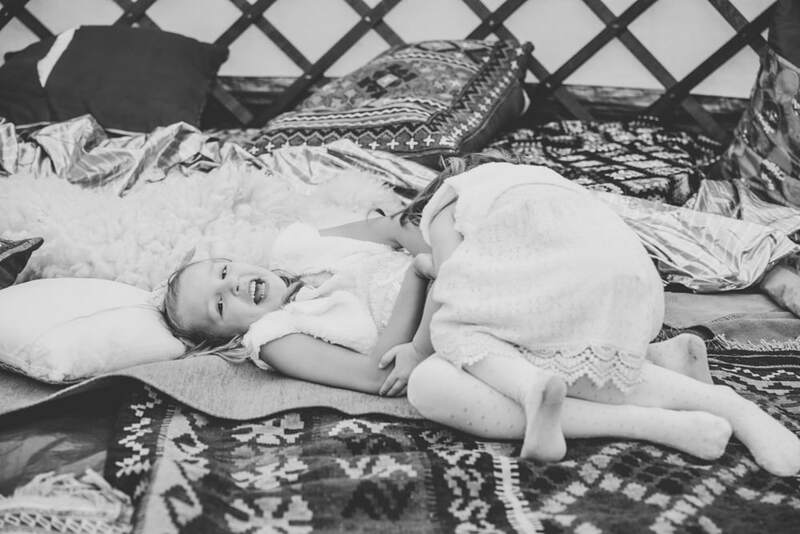 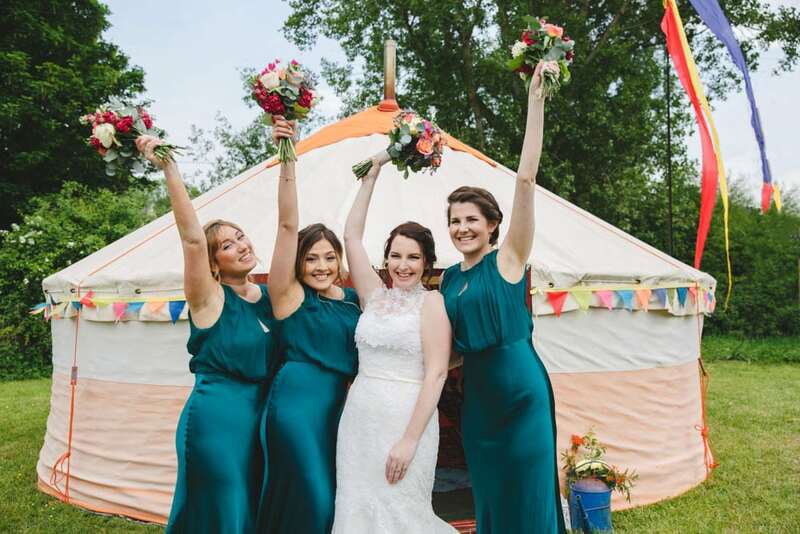 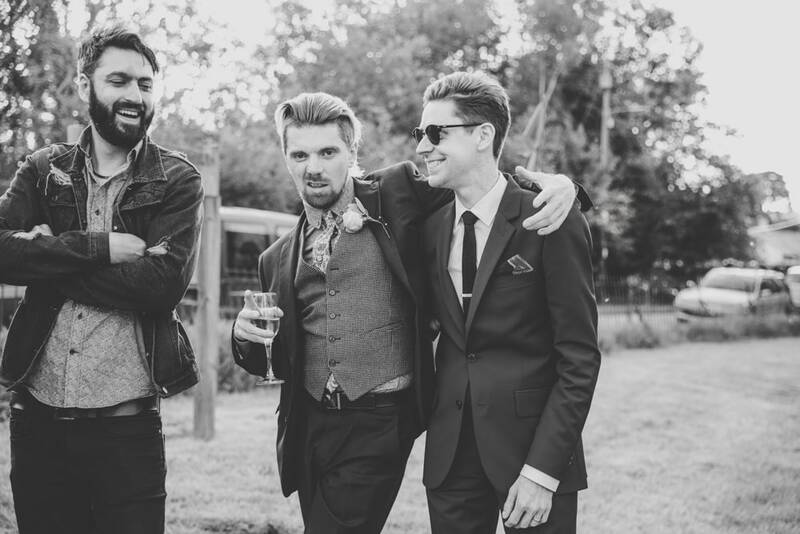 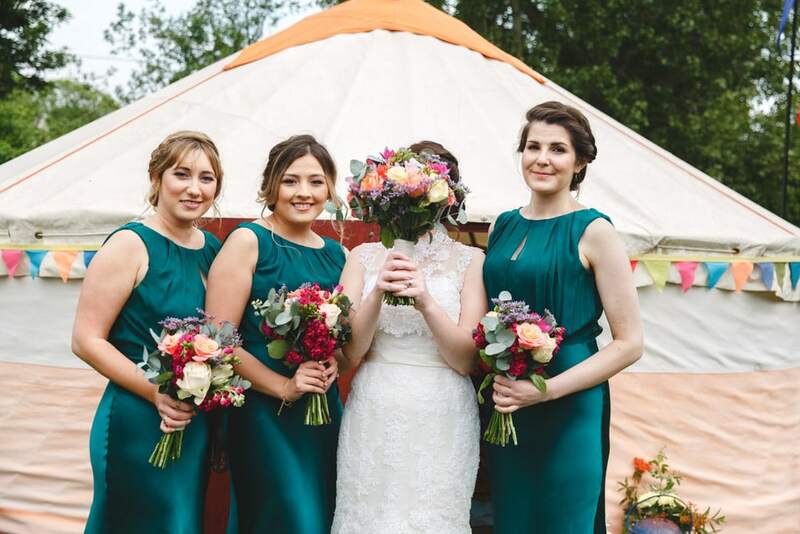 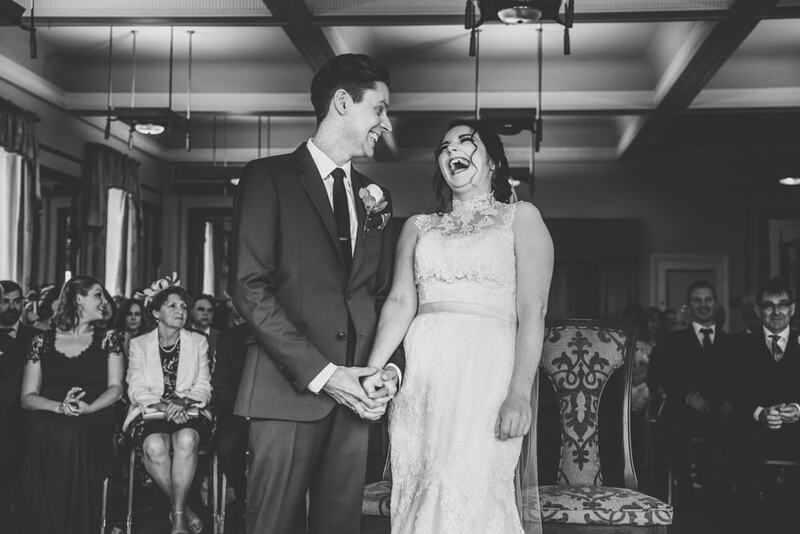 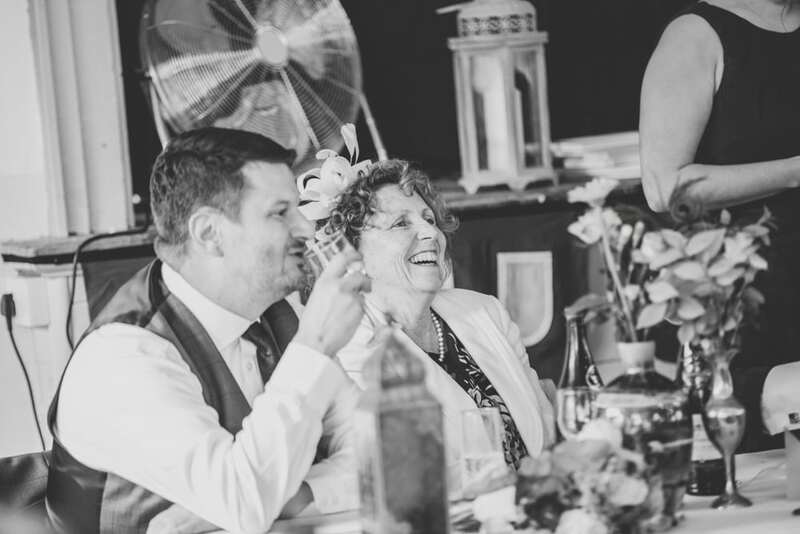 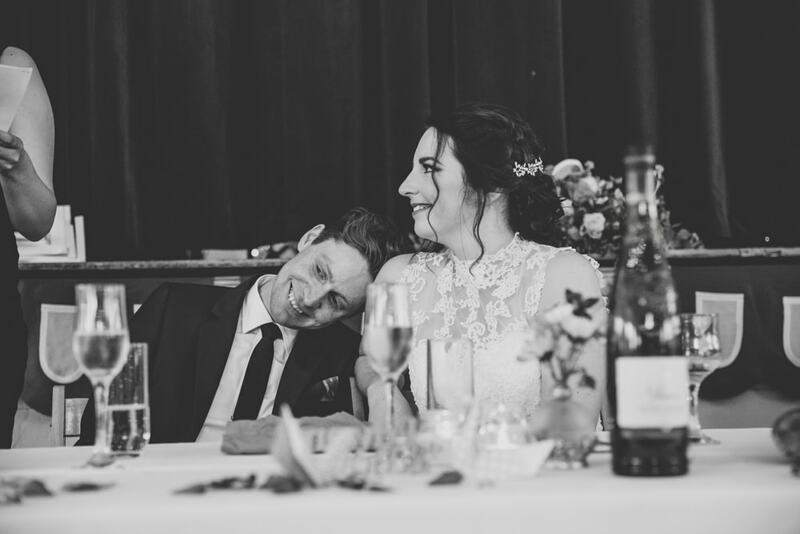 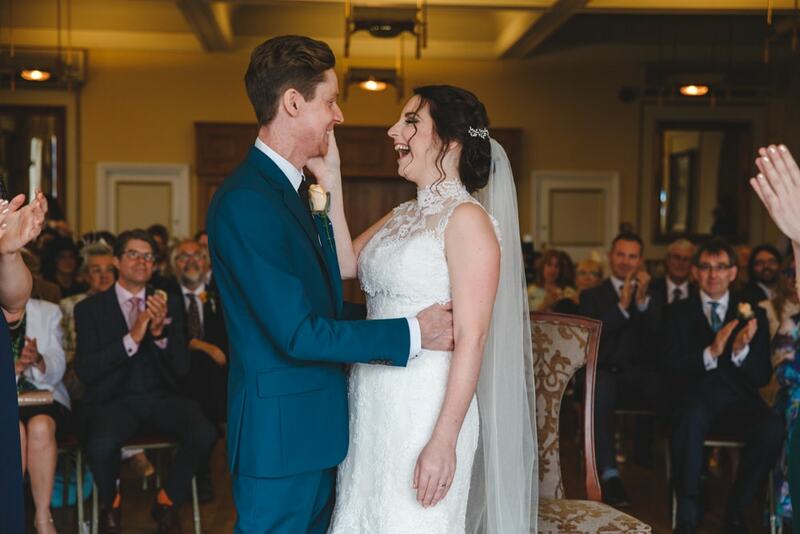 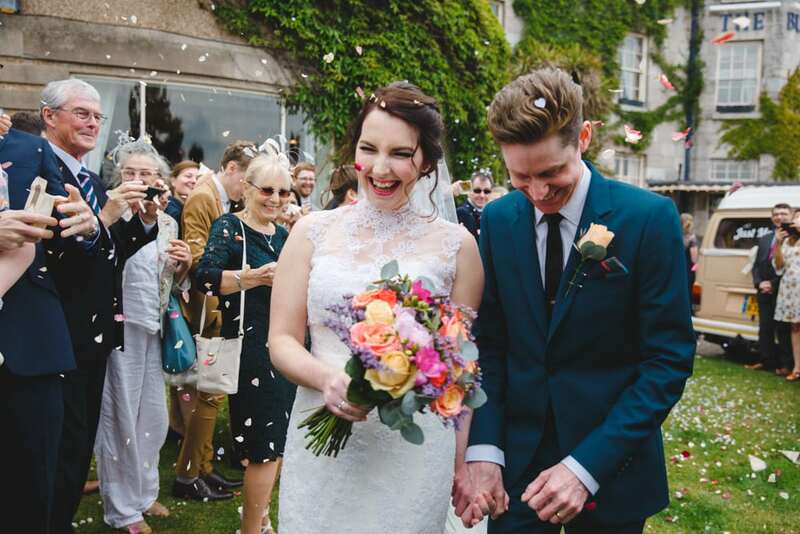 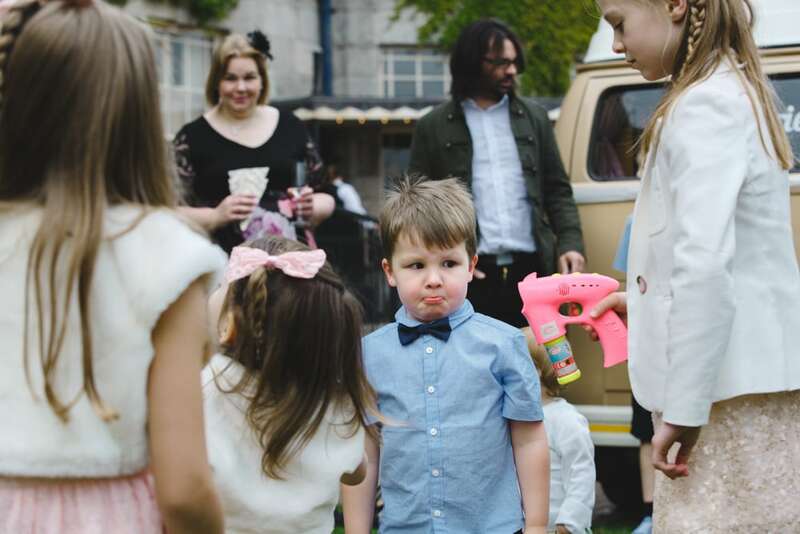 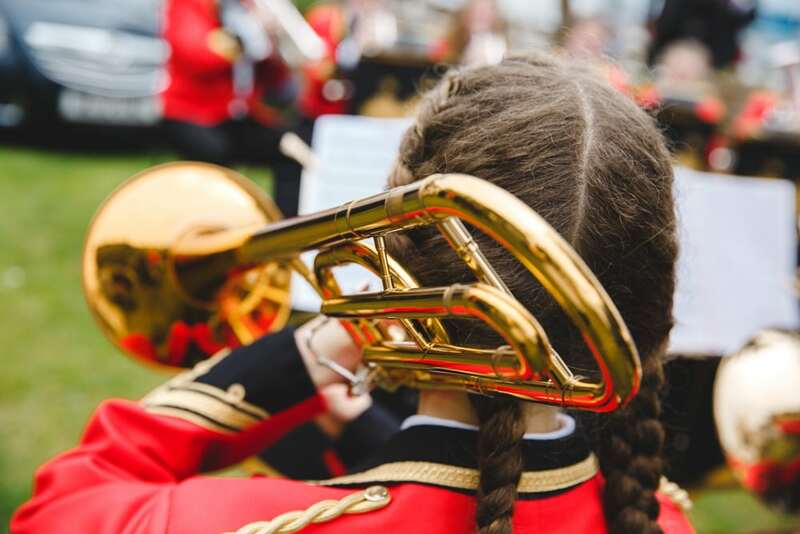 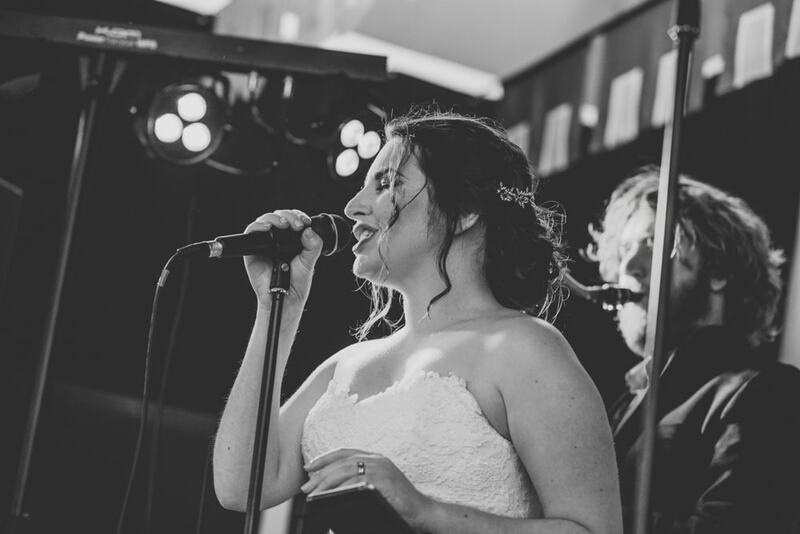 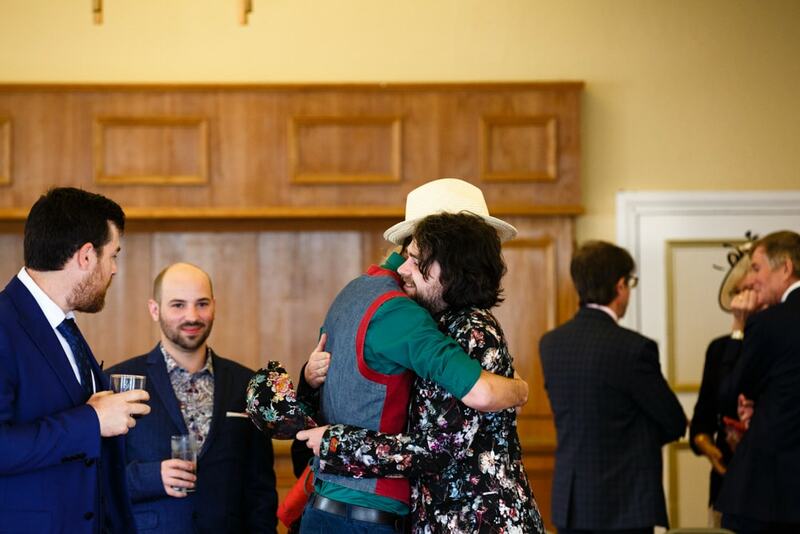 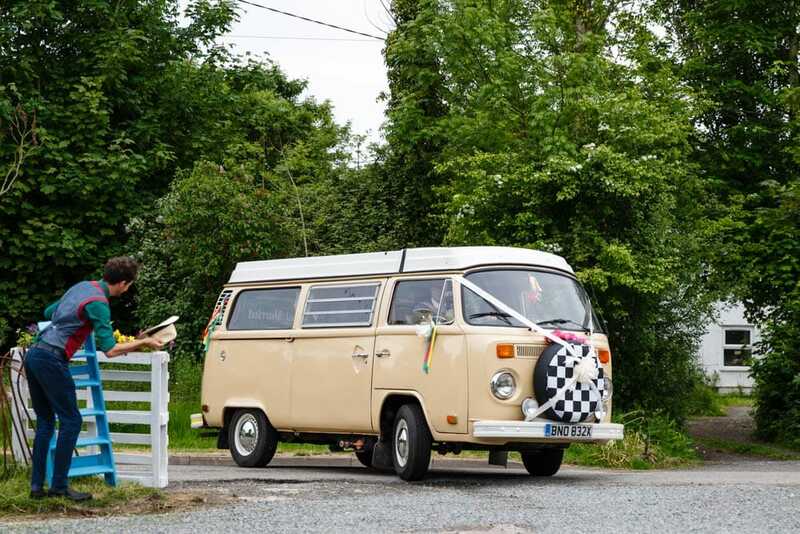 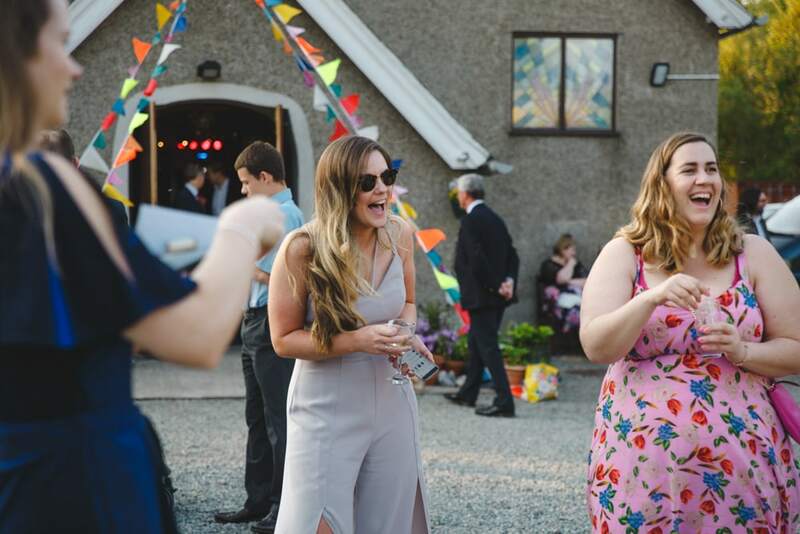 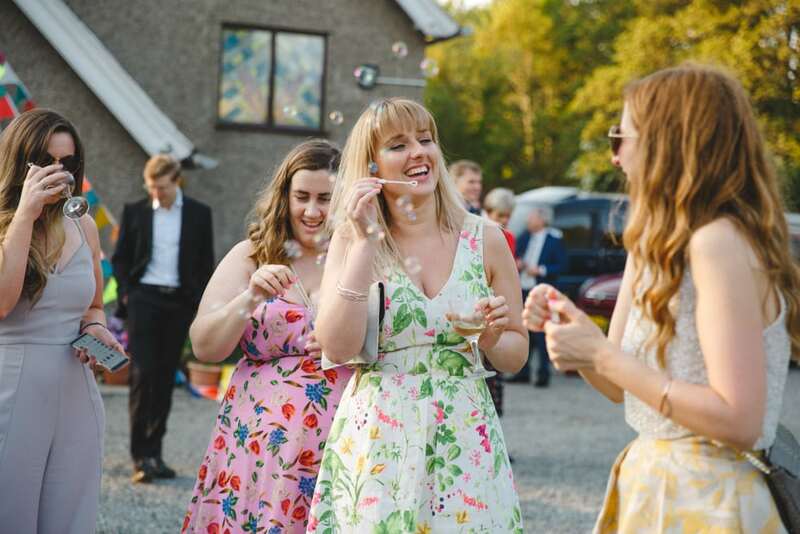 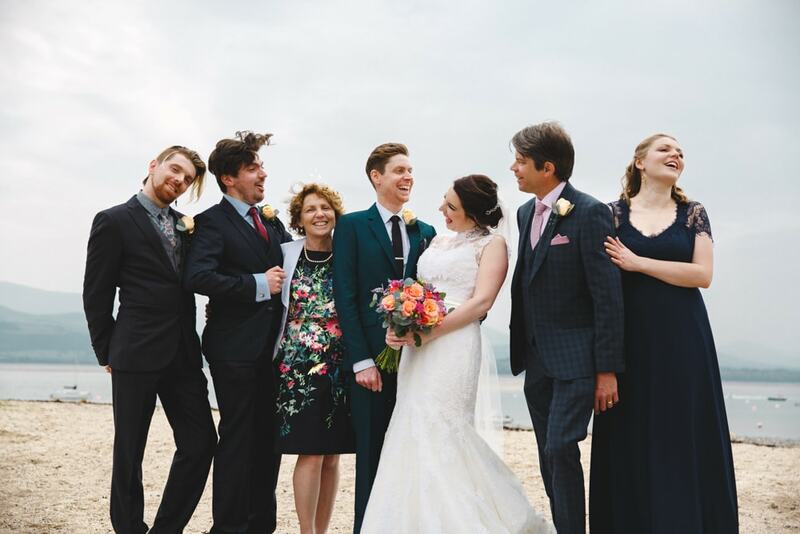 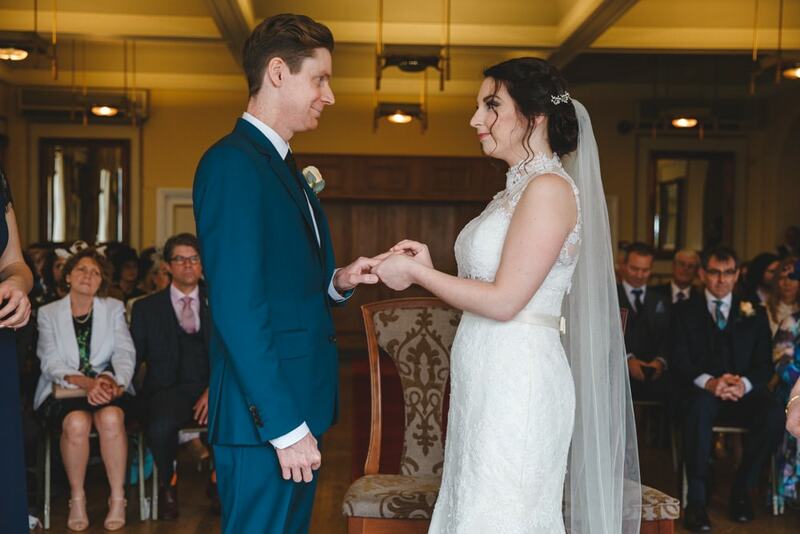 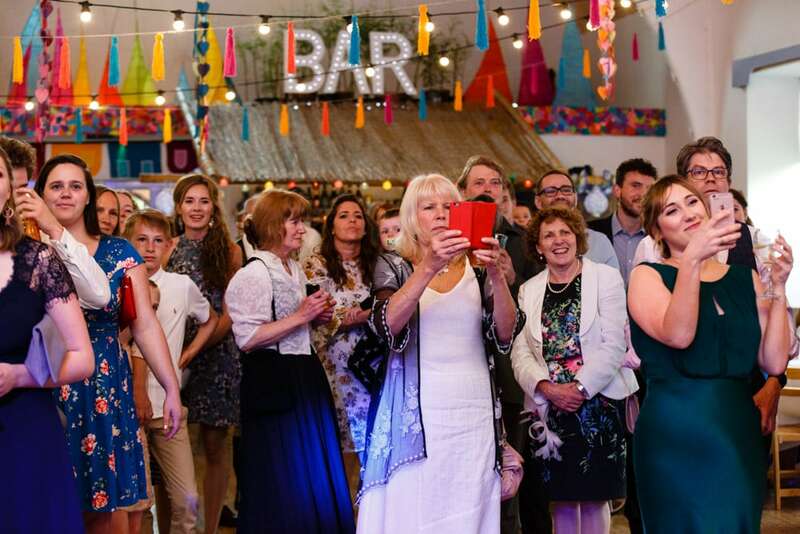 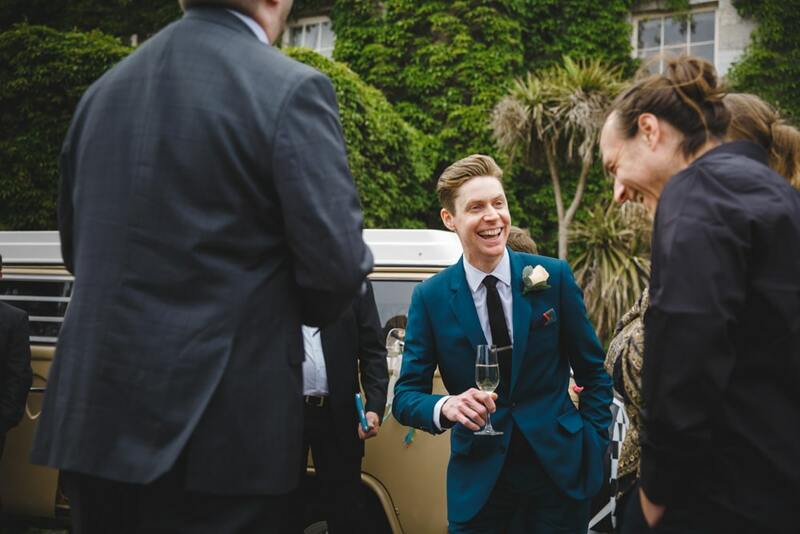 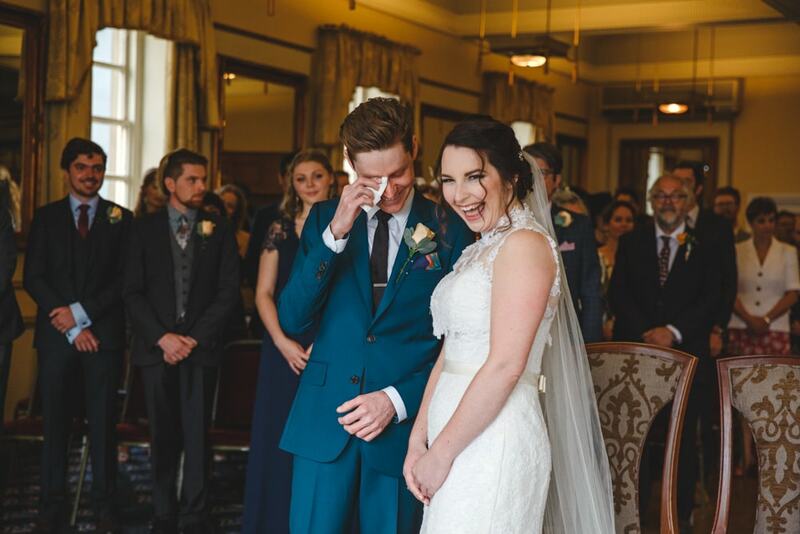 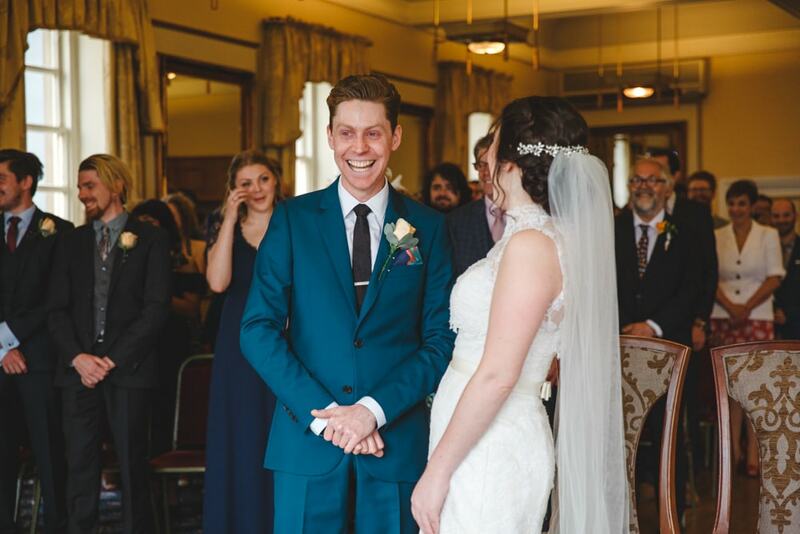 When Ed told us he was getting married to Bryony it was a no-brainer that we would be his photographers, we loved the sound of their D.I.Y Festival Themed Wedding and during all the discussions and build up to the big day we were trying to imagine what it would look like. 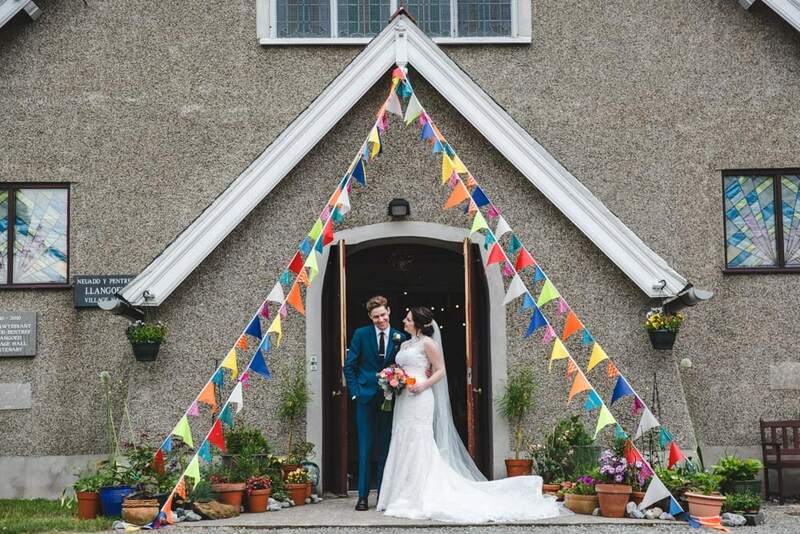 We had no idea how much effort, creative design and hard work would go into getting the village hall to look so incredible, all we can say is WOW it was breathtaking and well worth all your hard work. 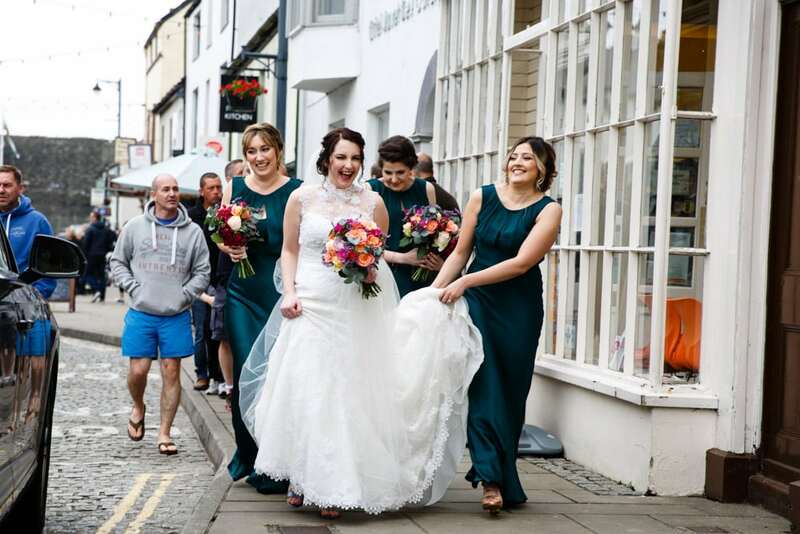 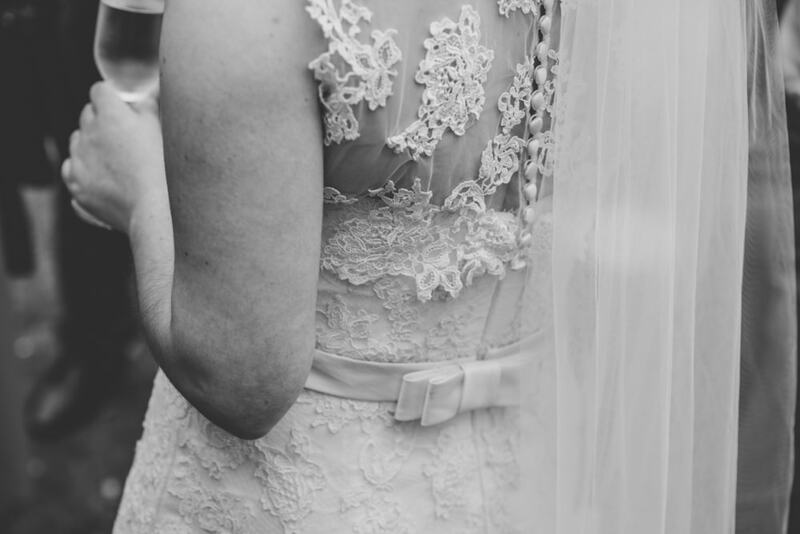 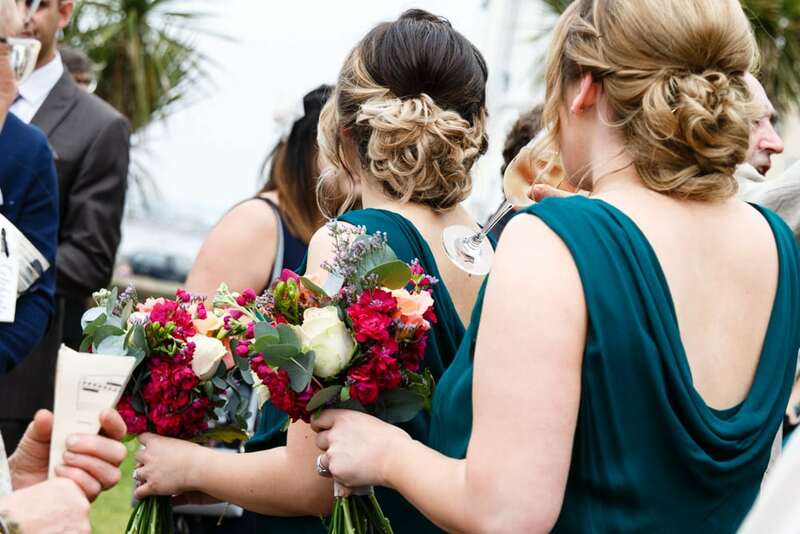 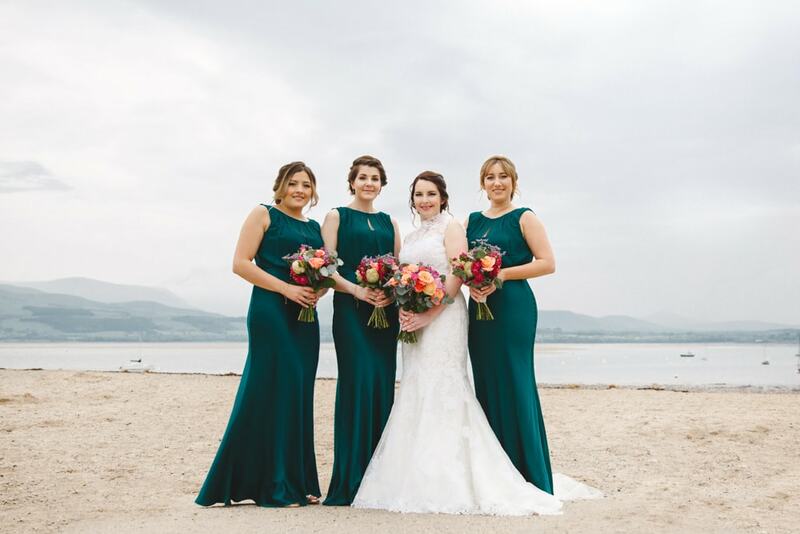 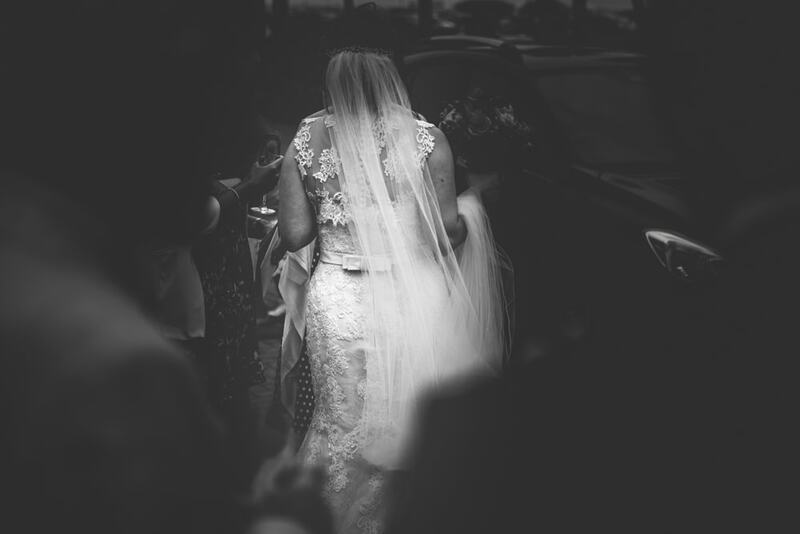 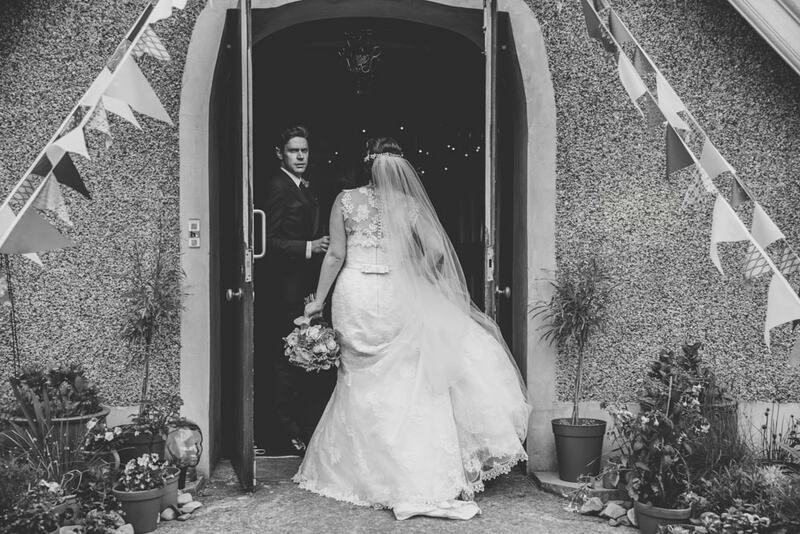 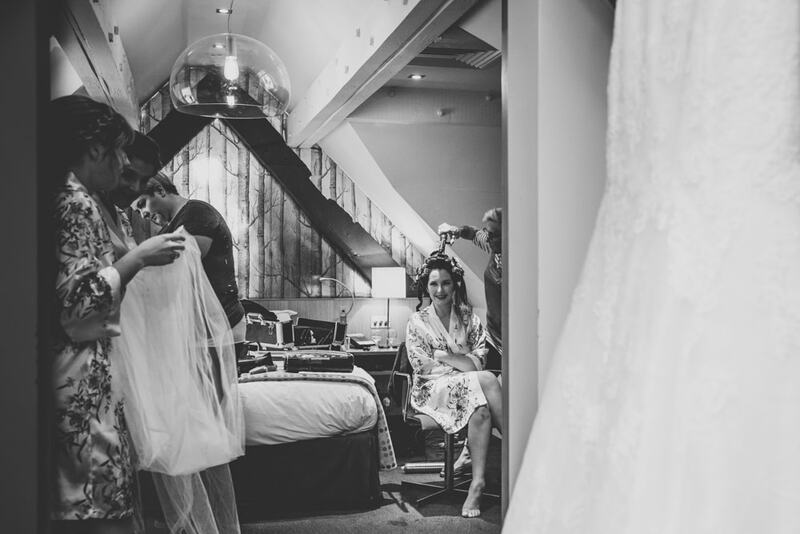 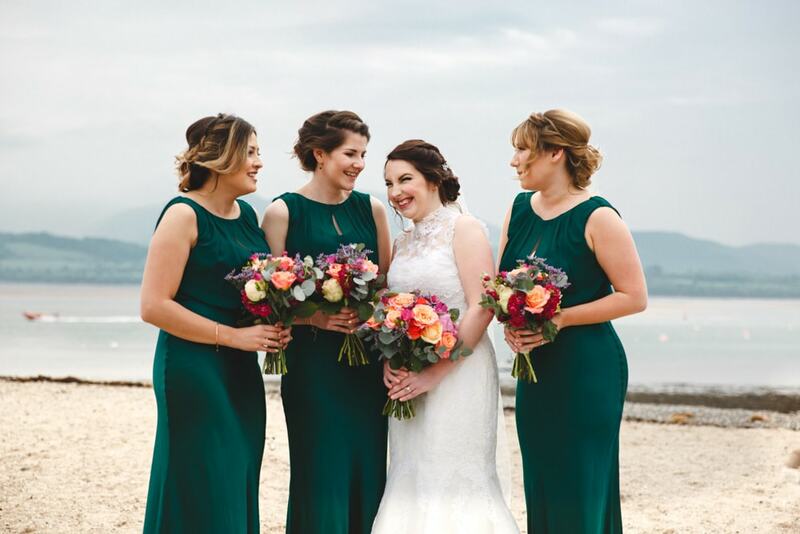 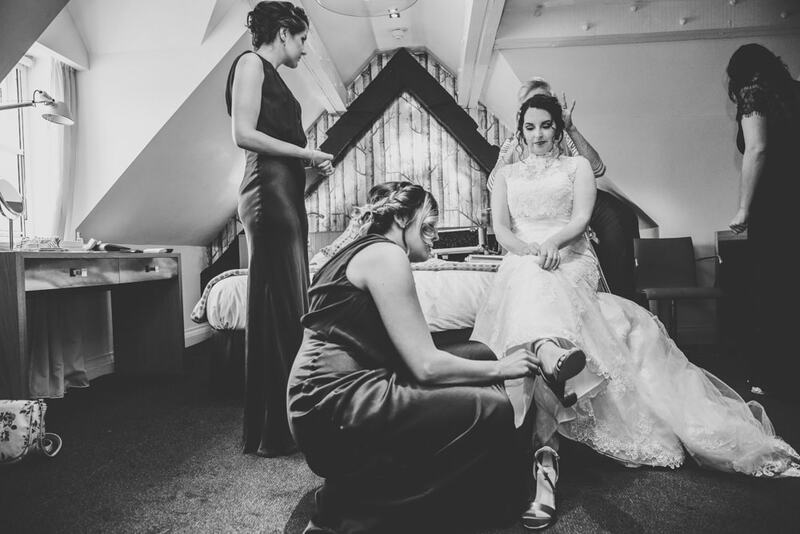 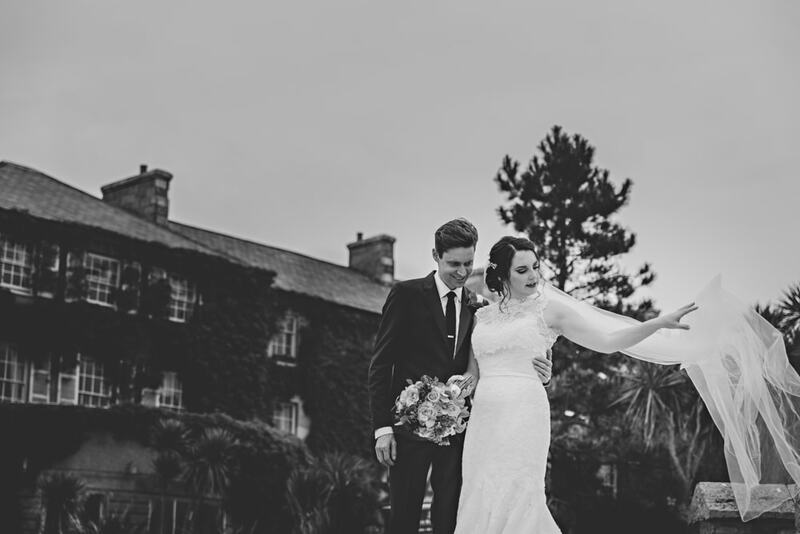 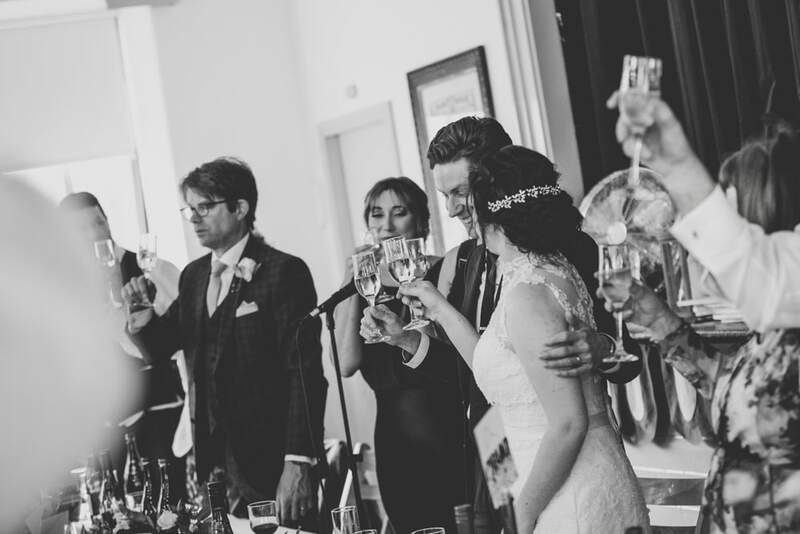 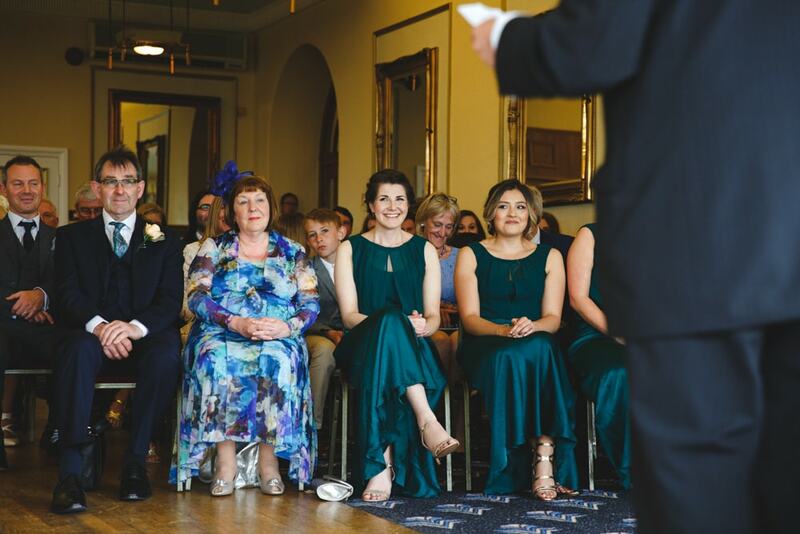 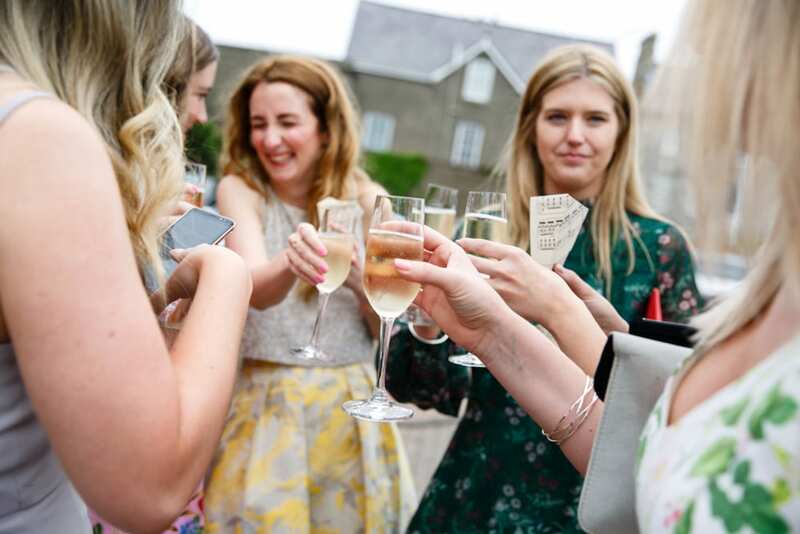 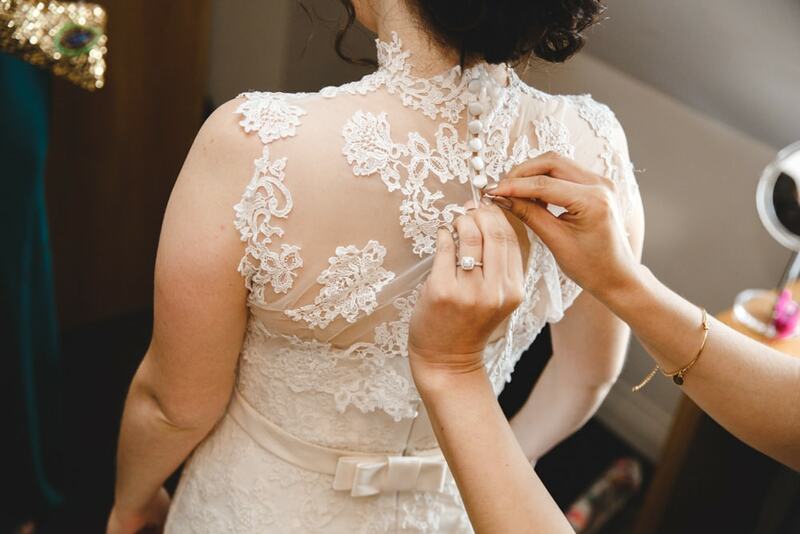 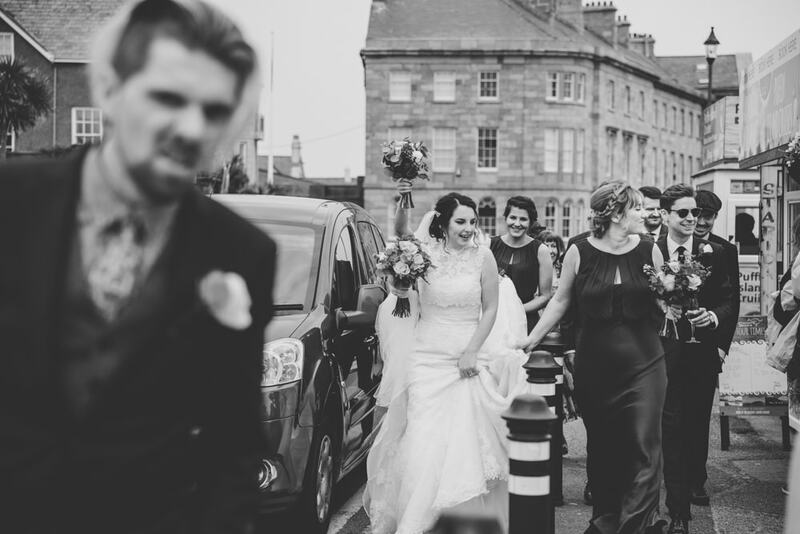 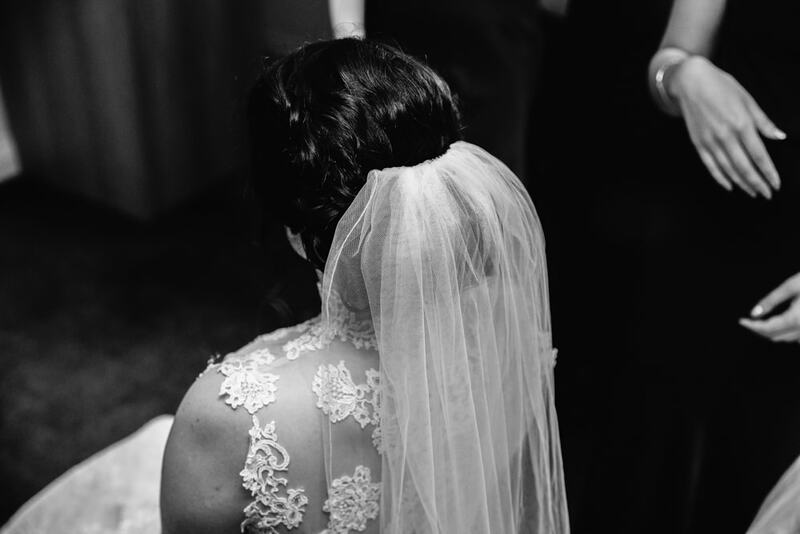 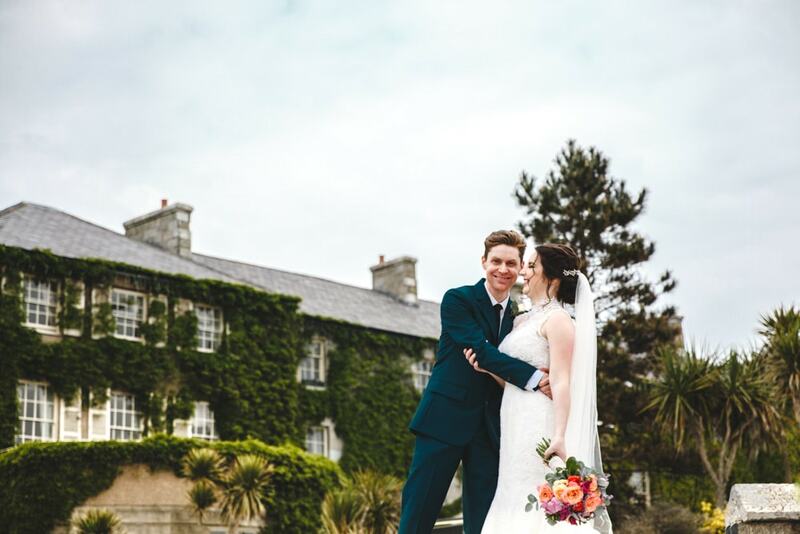 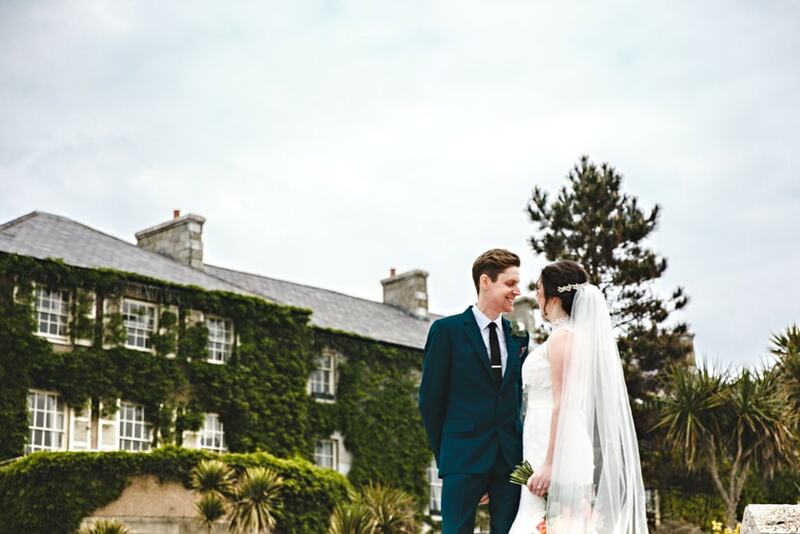 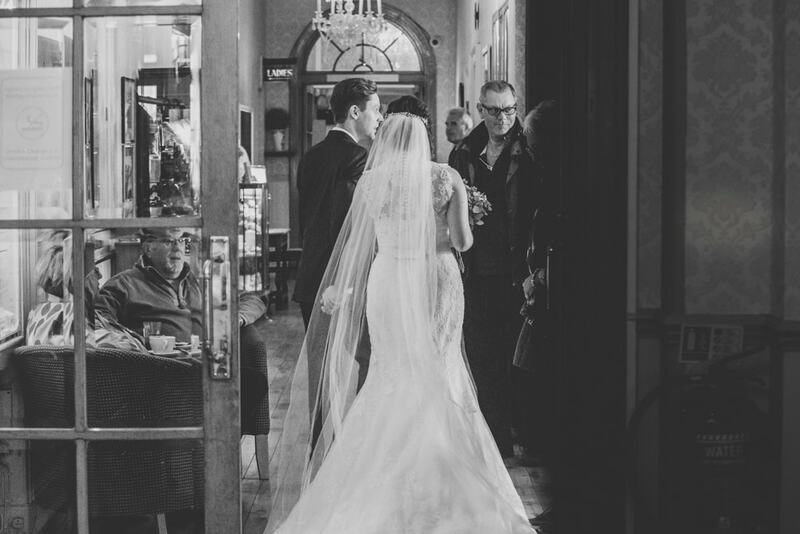 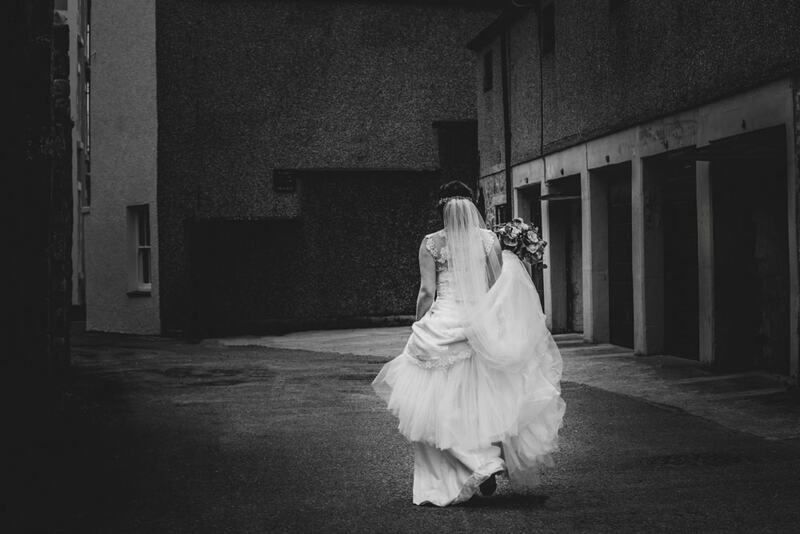 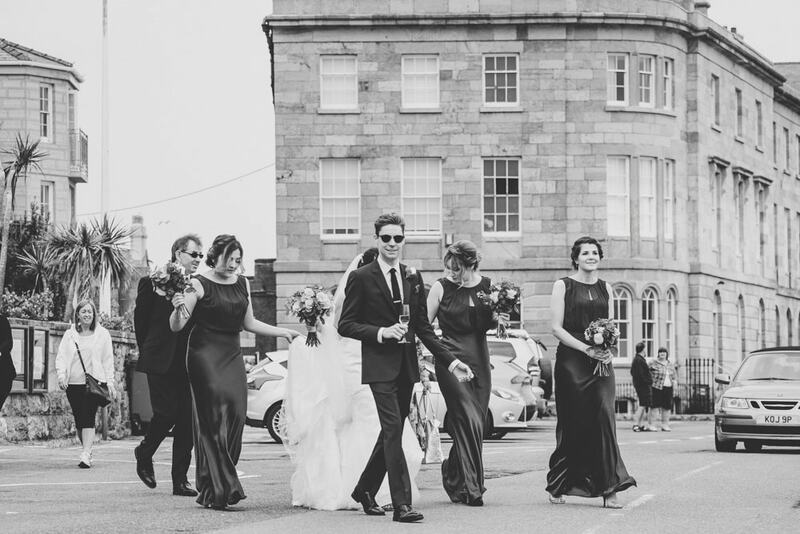 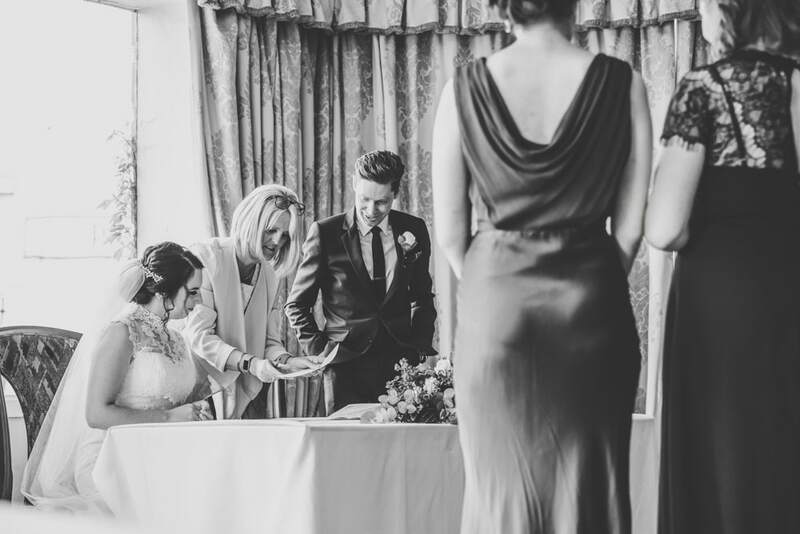 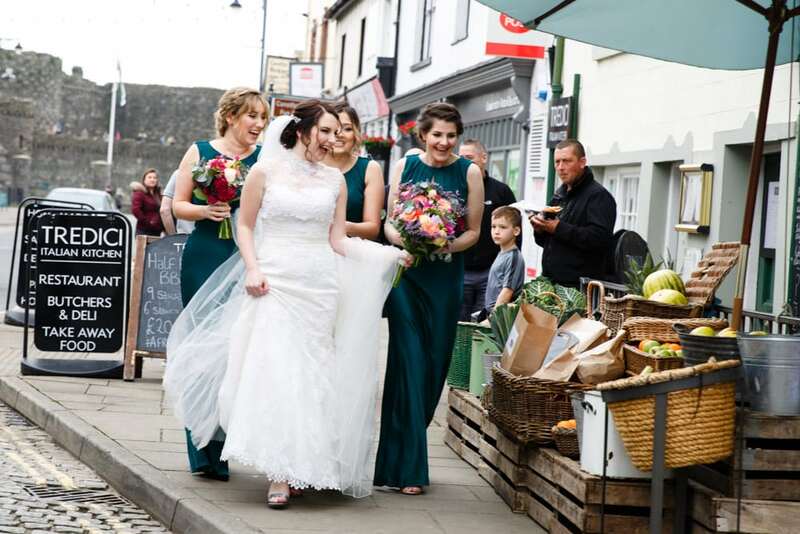 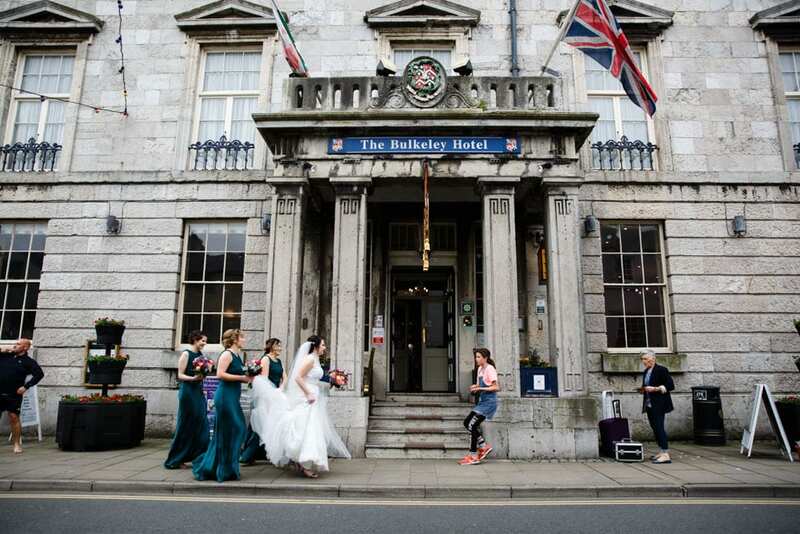 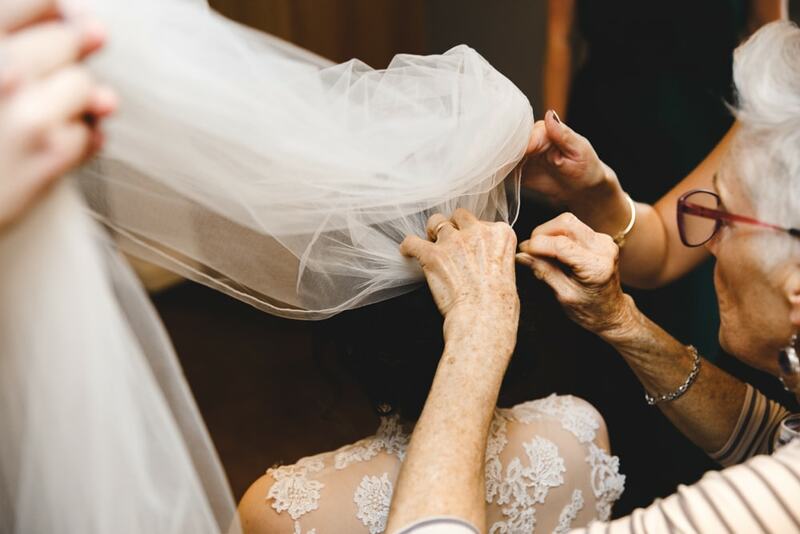 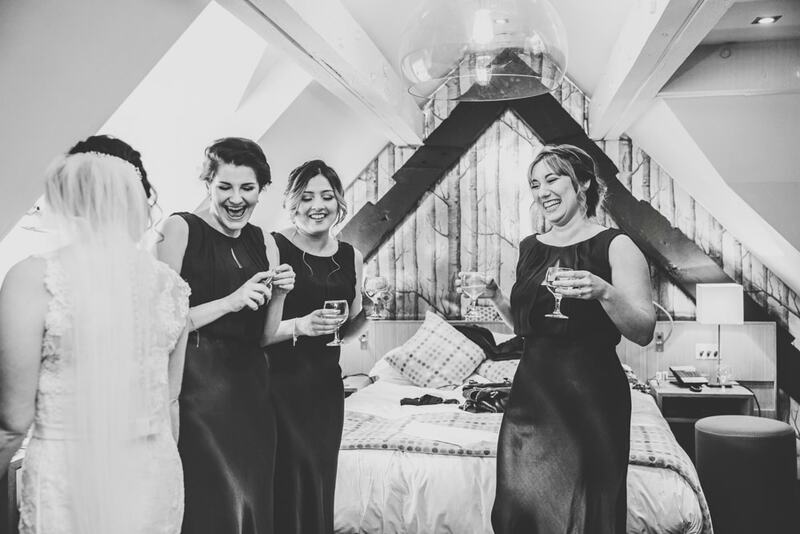 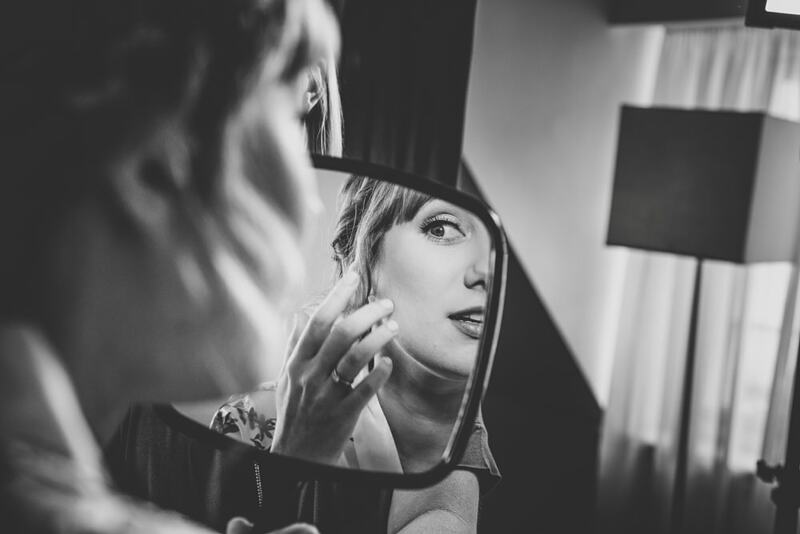 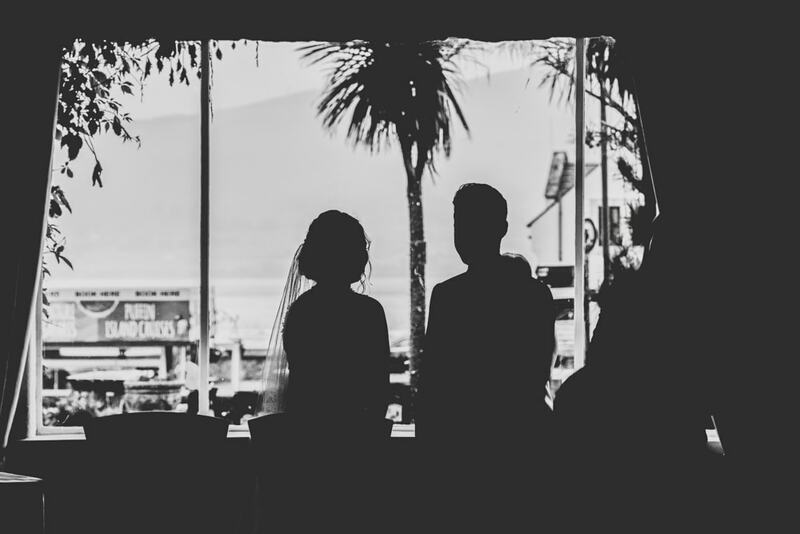 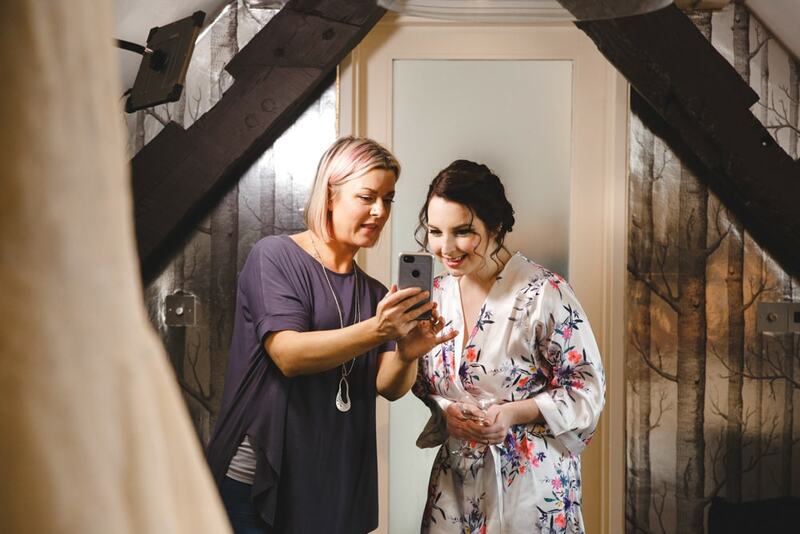 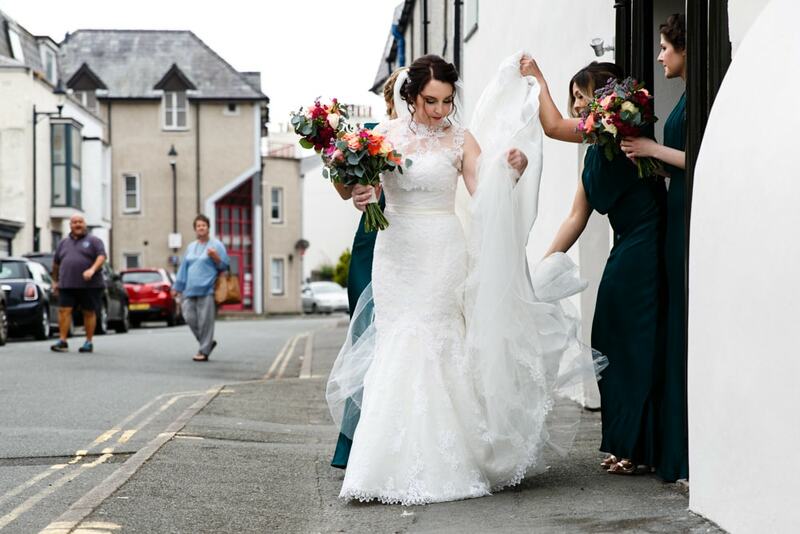 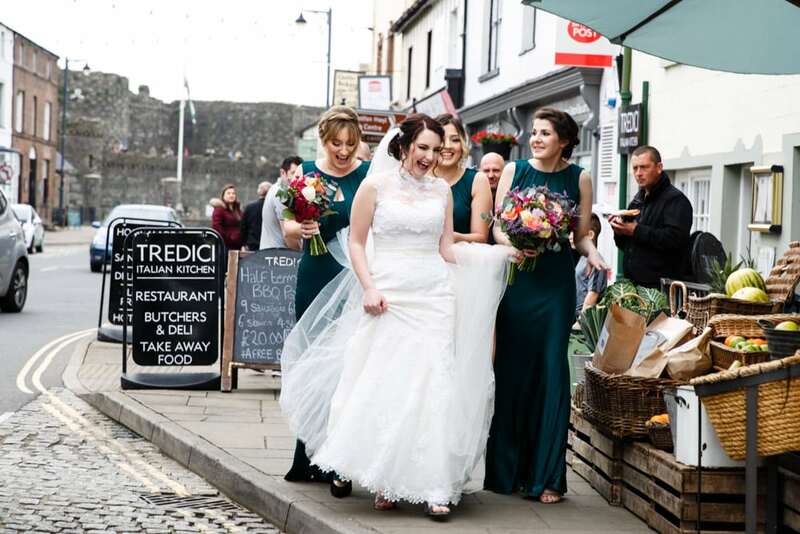 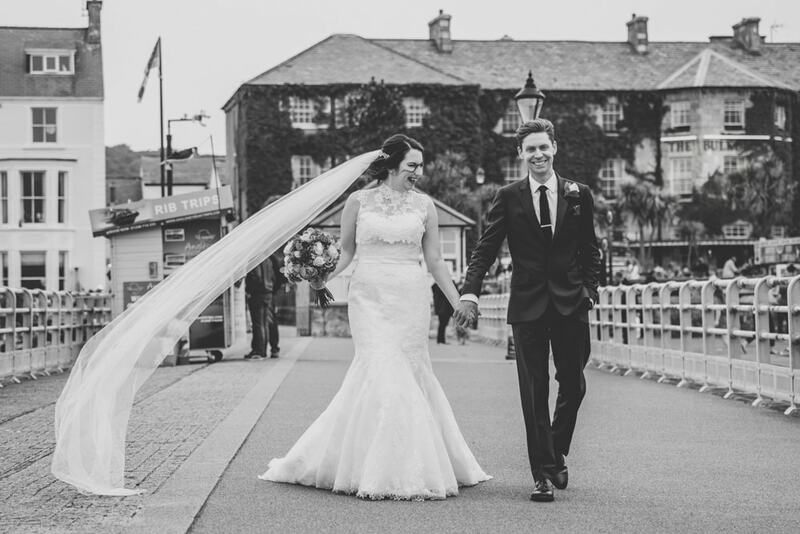 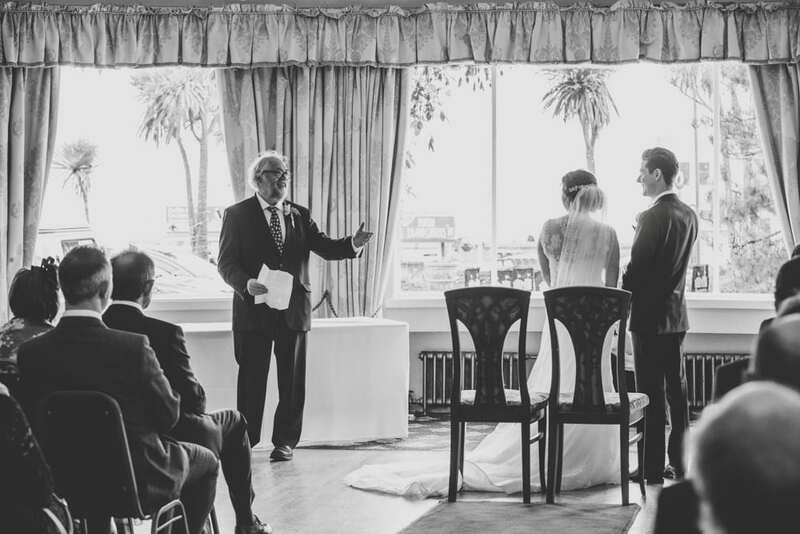 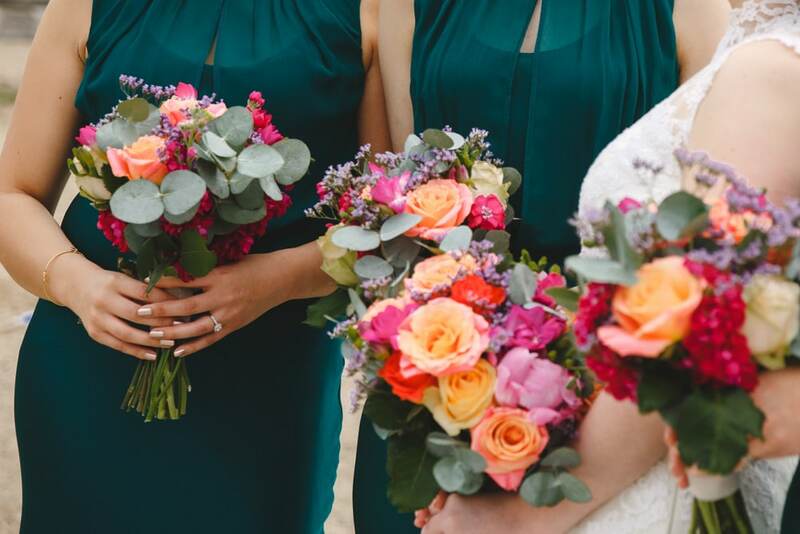 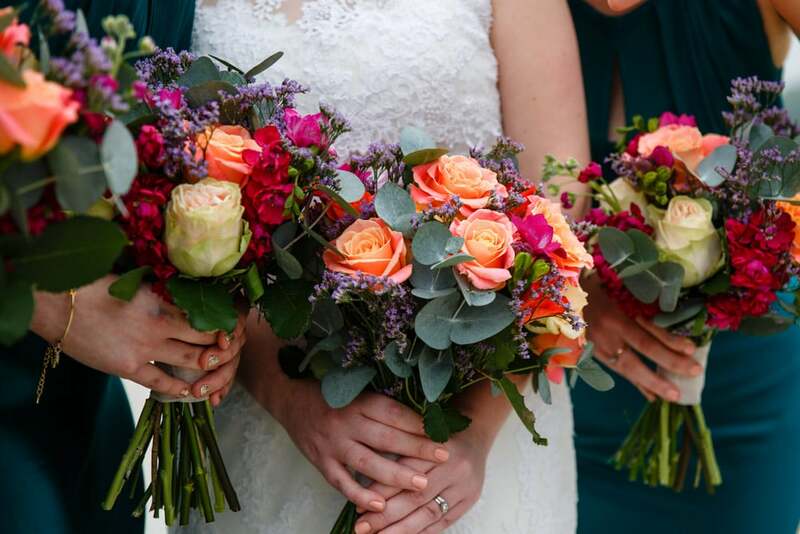 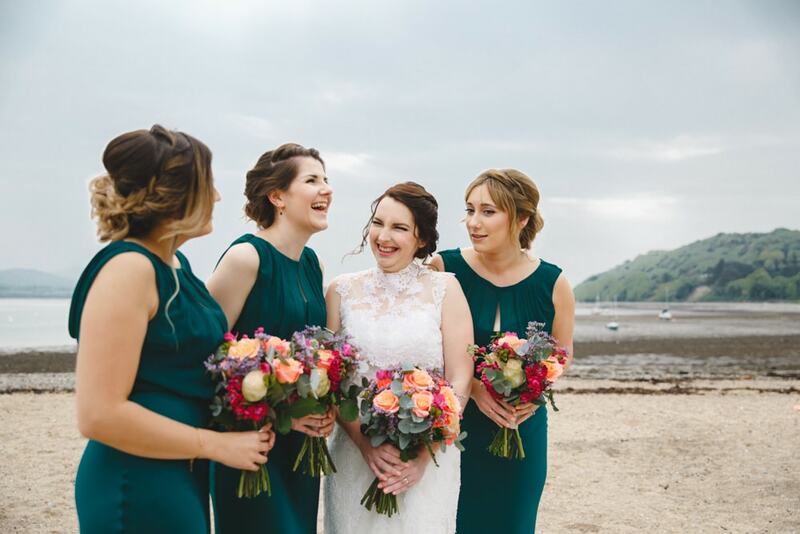 The morning preparations started off at a lovely little Townhouse which is part of The Bull Inn, once the girls were all looking gorgeous they walked over to The Bulkeley Hotel which overlooks the pier, what a place. 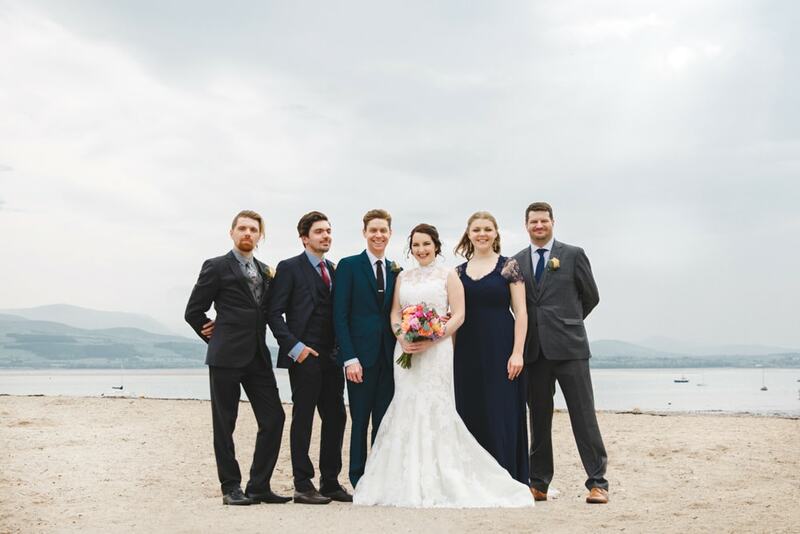 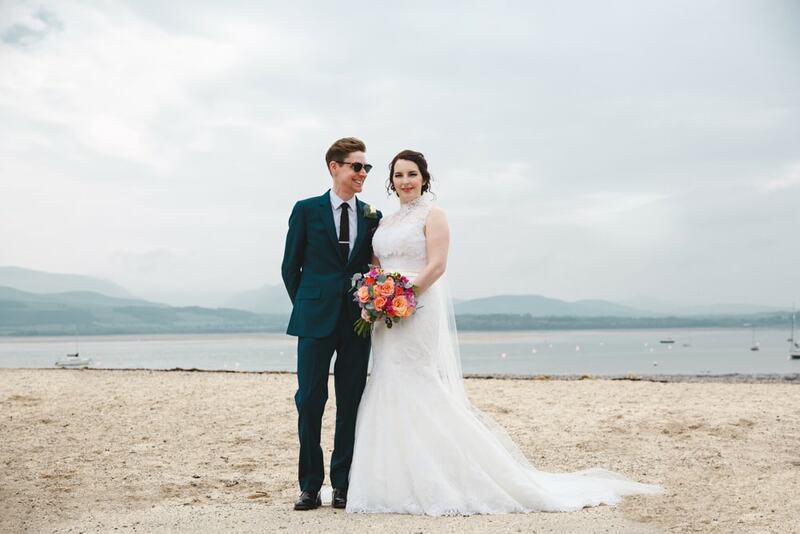 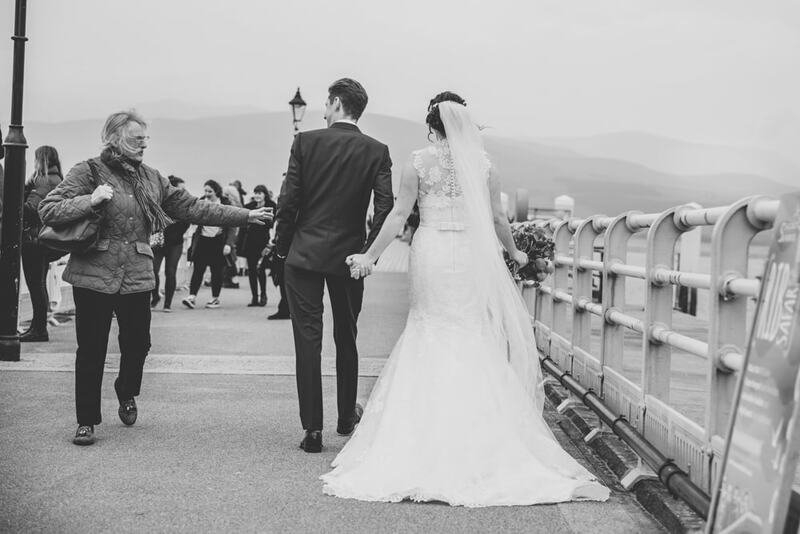 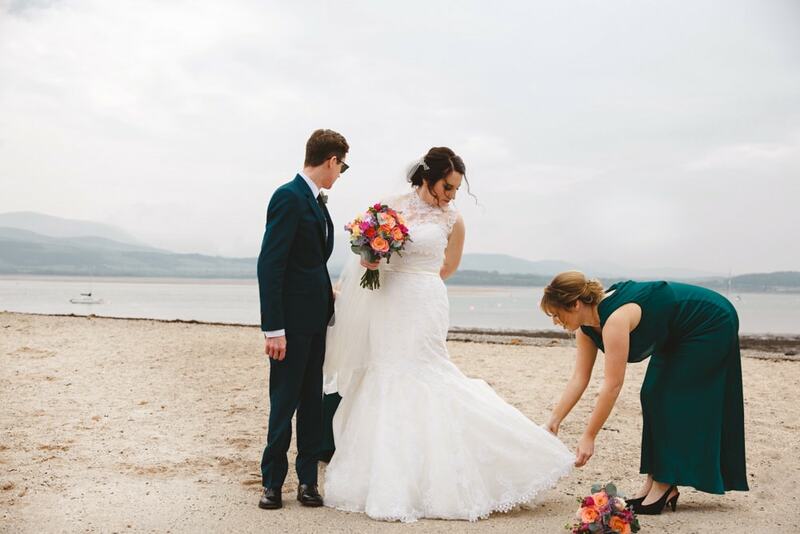 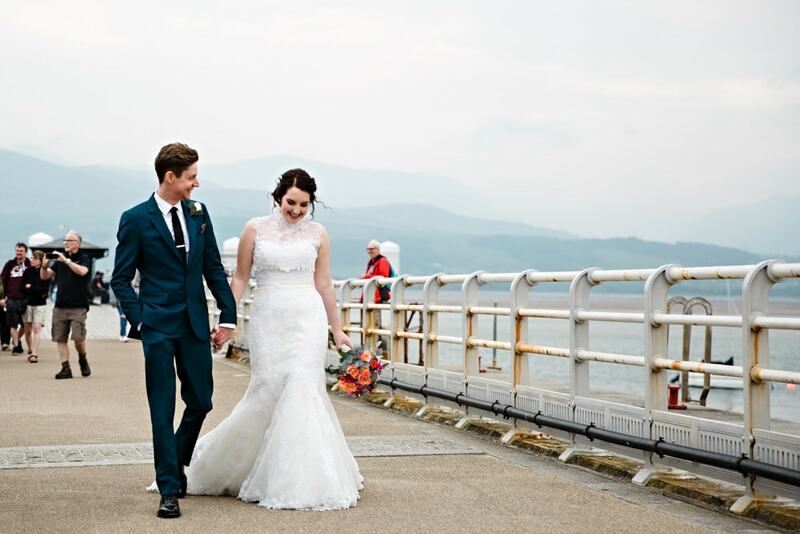 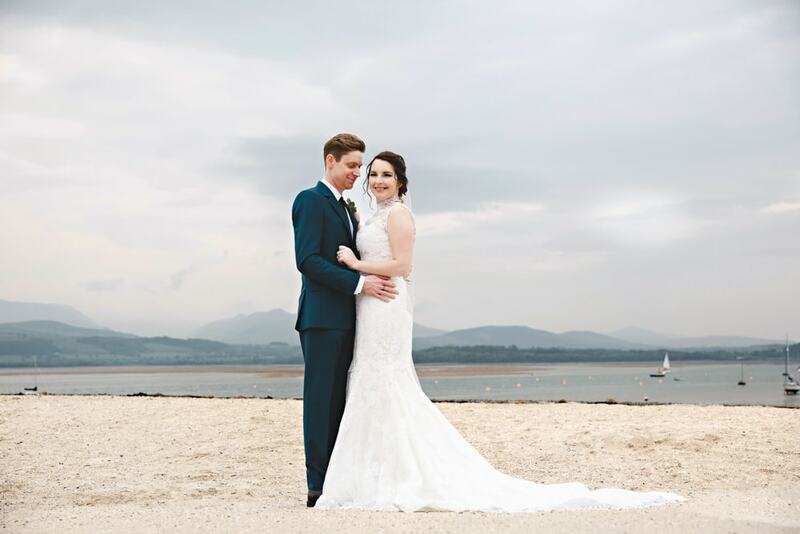 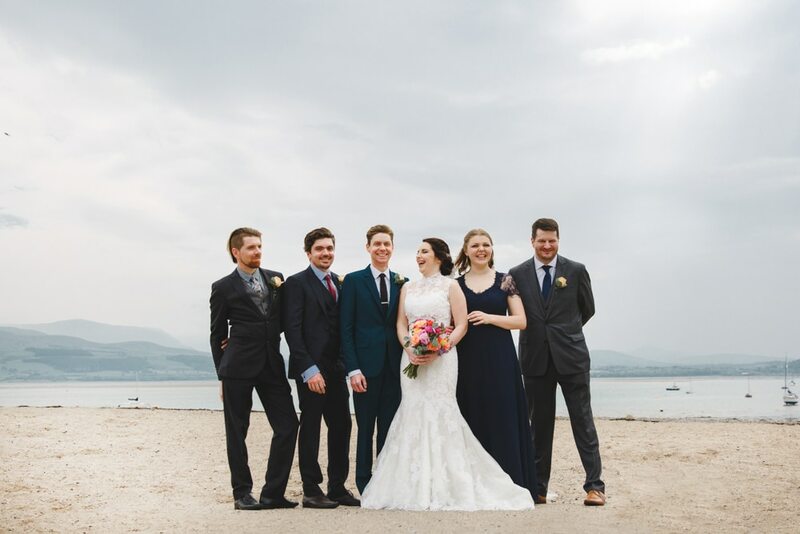 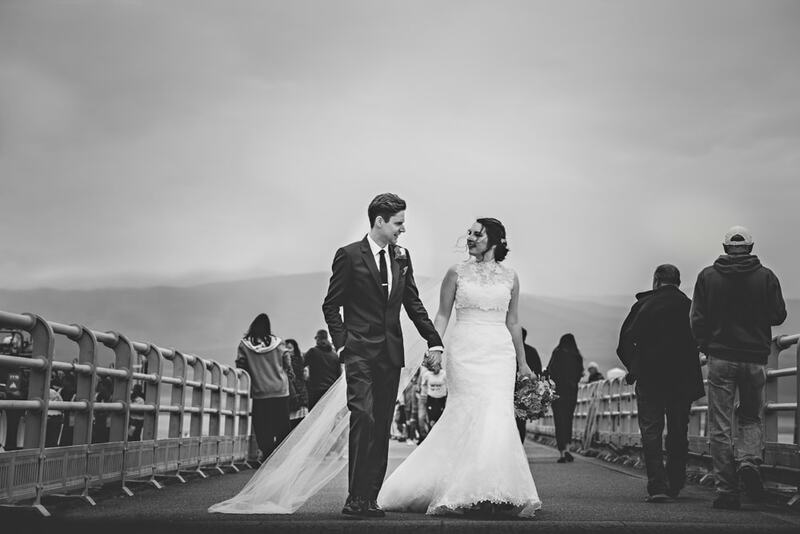 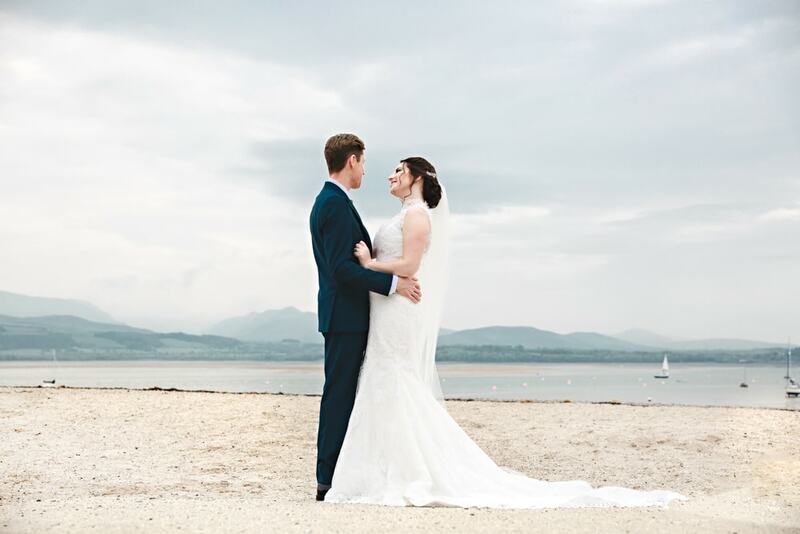 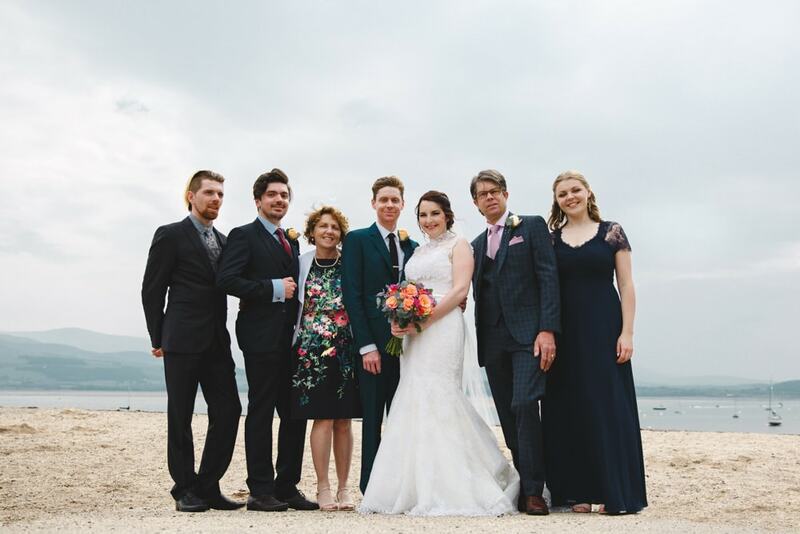 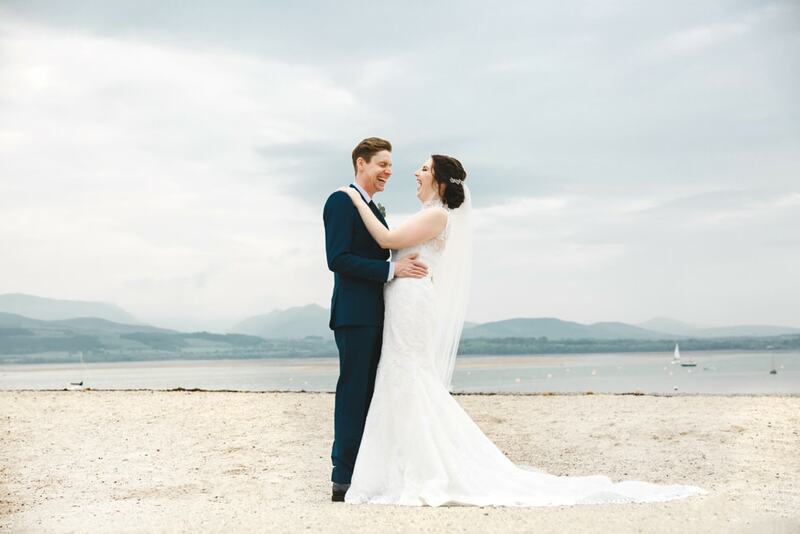 The weather was a little overcast and misty so unfortunately, we didn’t get the full view of the Snowdonia National Park but hey ho that’s the UK for you, we could get used to doing photos on the beach at every wedding. 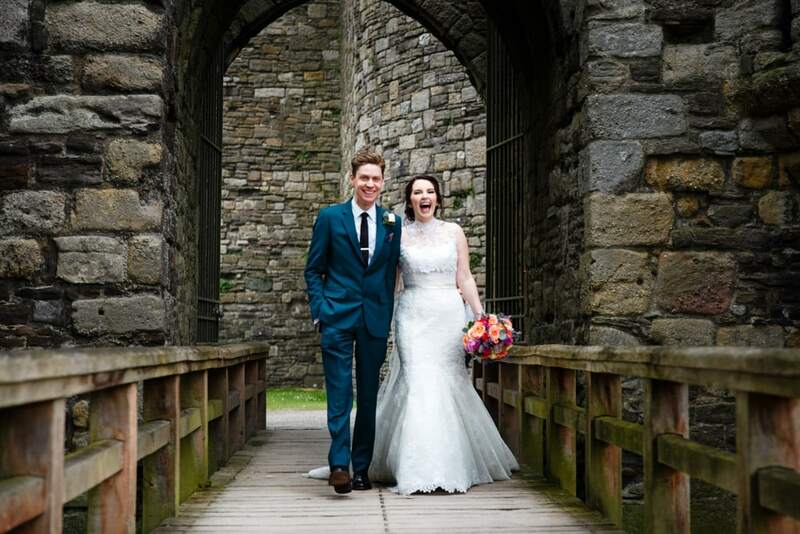 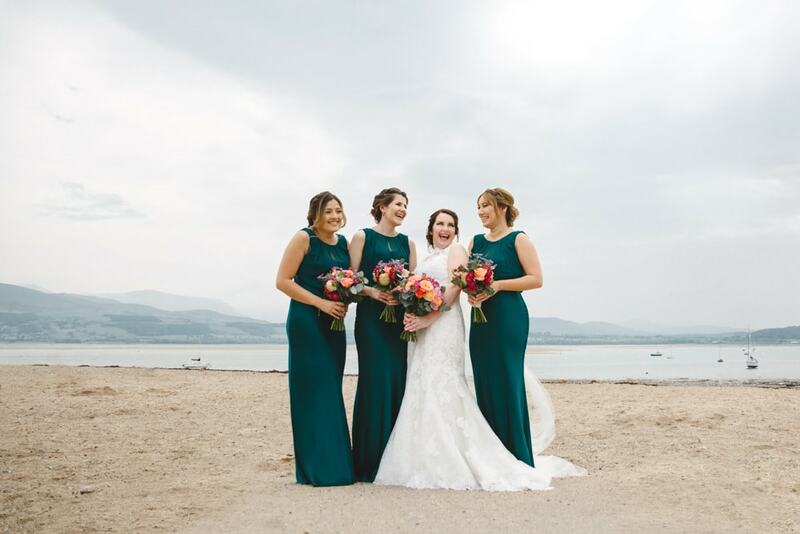 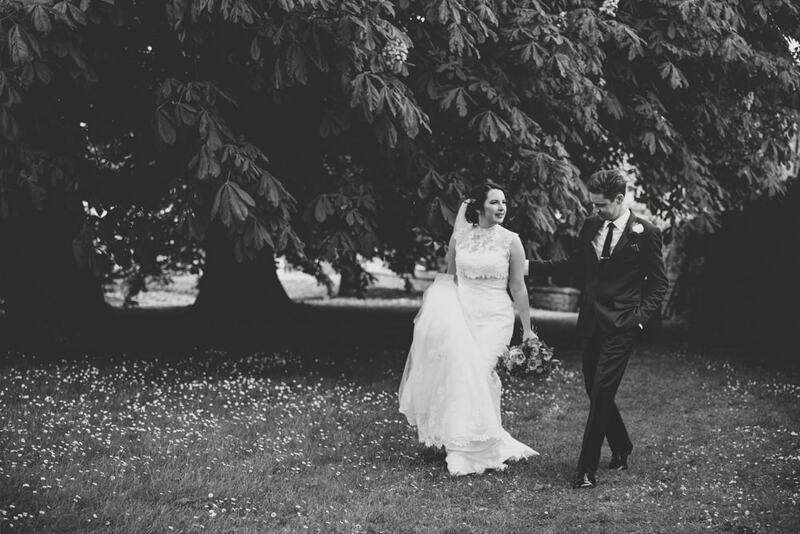 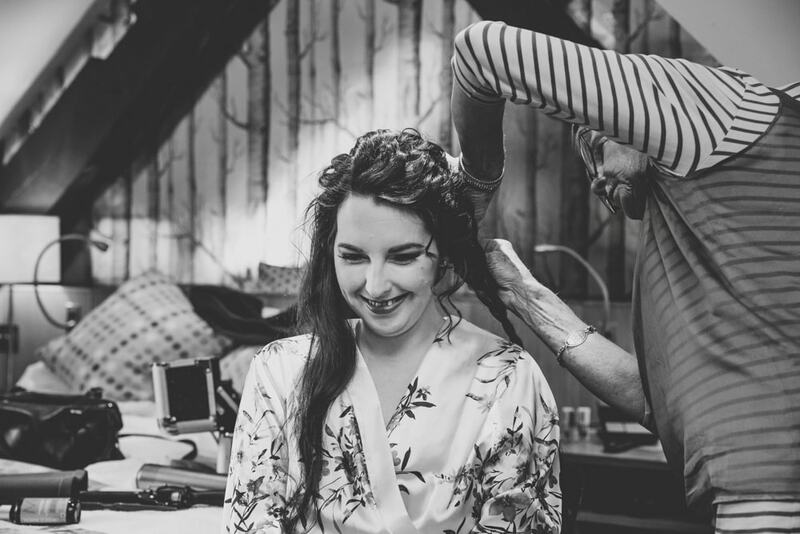 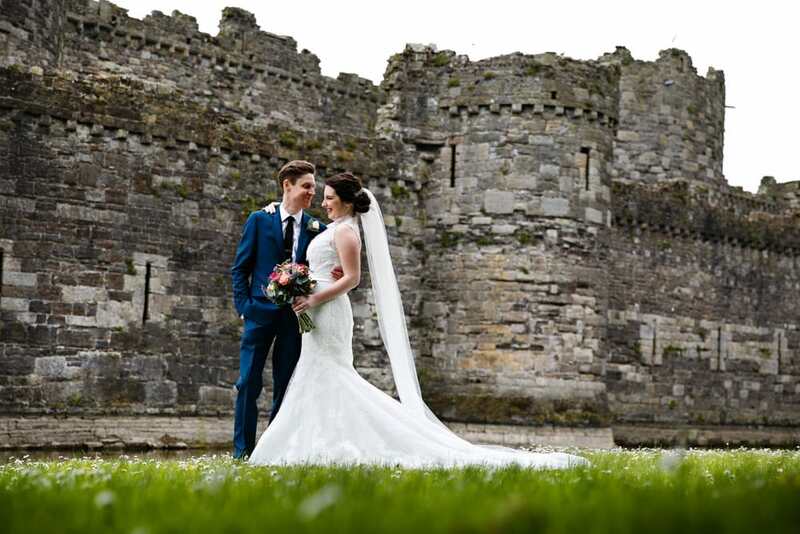 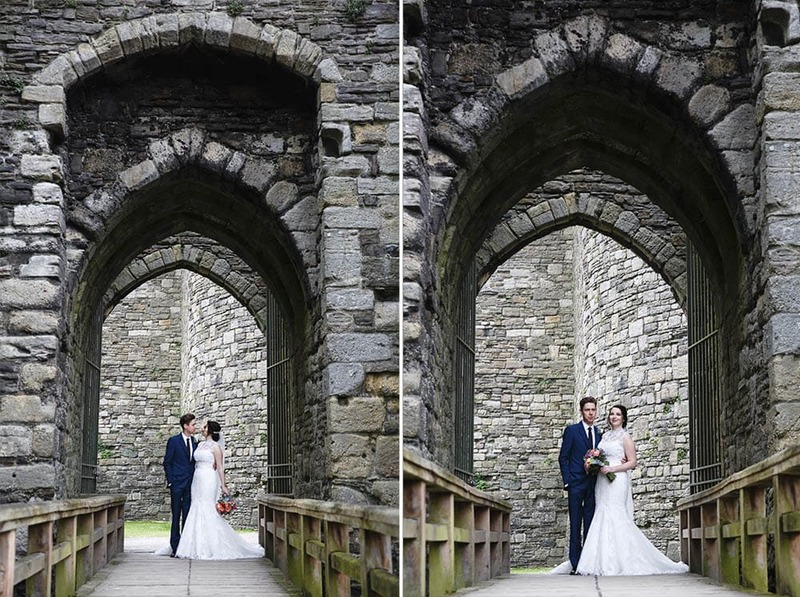 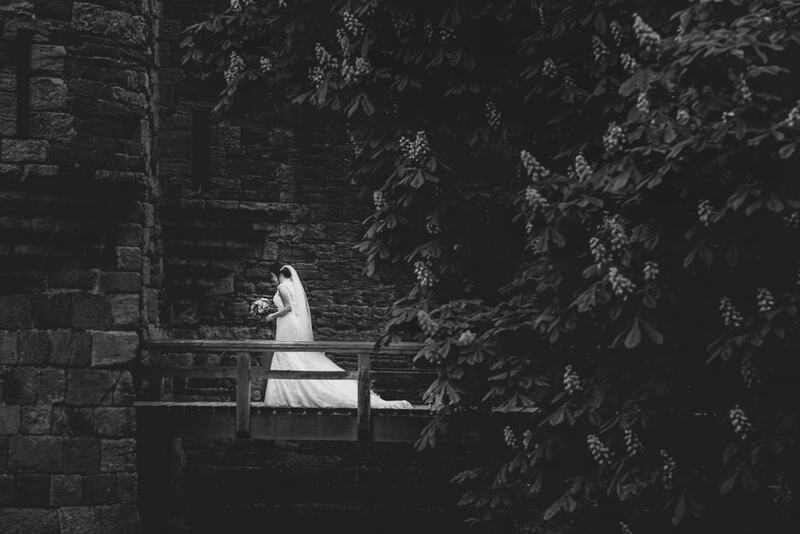 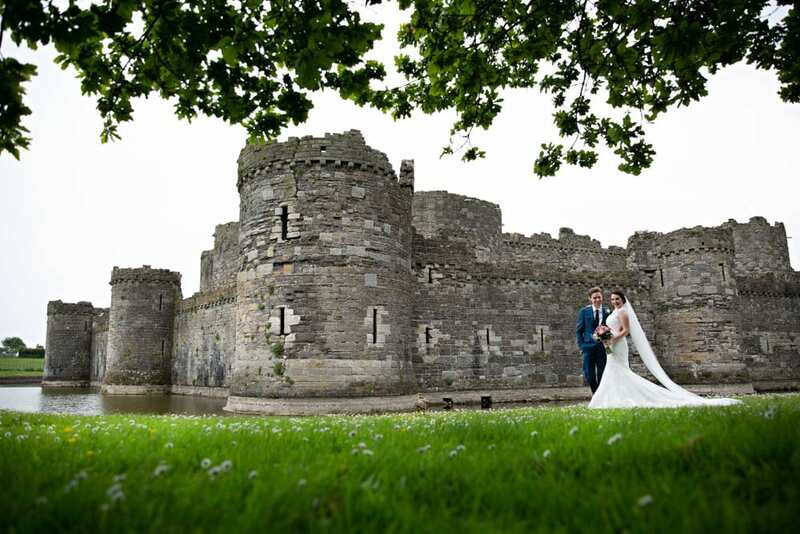 Once married we popped over to Beaumaris Castle where Bryony had pre-arranged for us to enter to take a few Bride & Groom Portraits and it was a lovely opportunity for them to have a little bit of alone time. 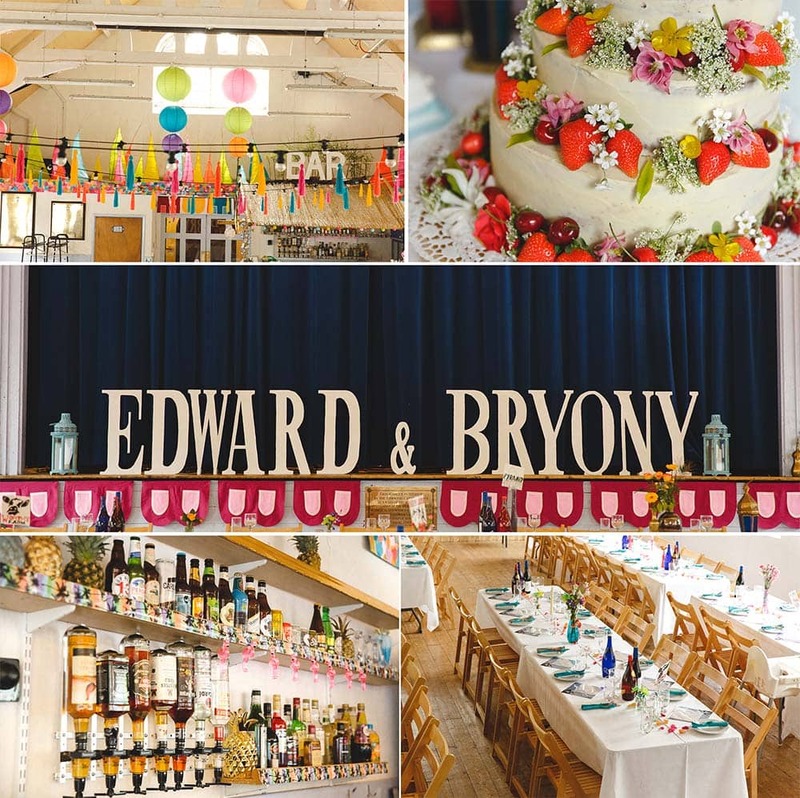 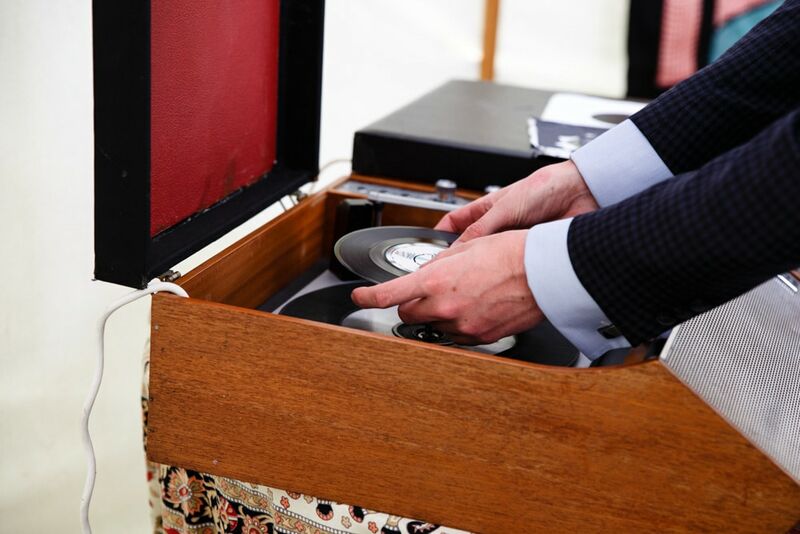 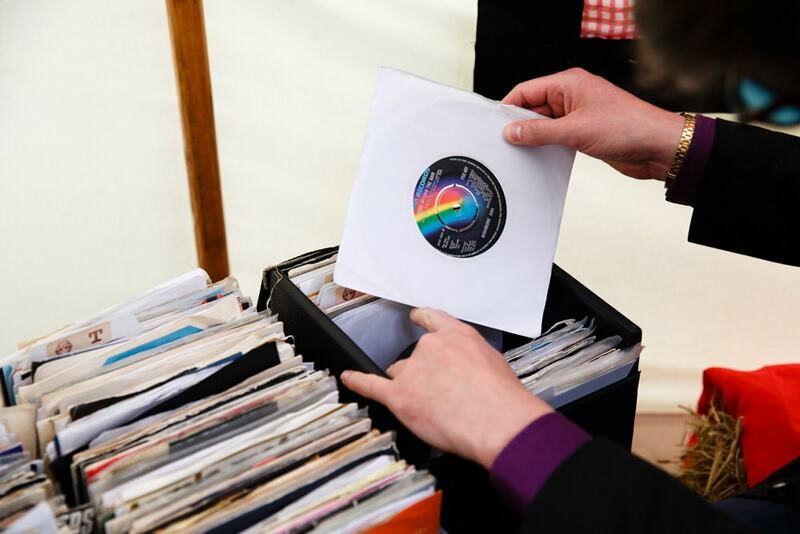 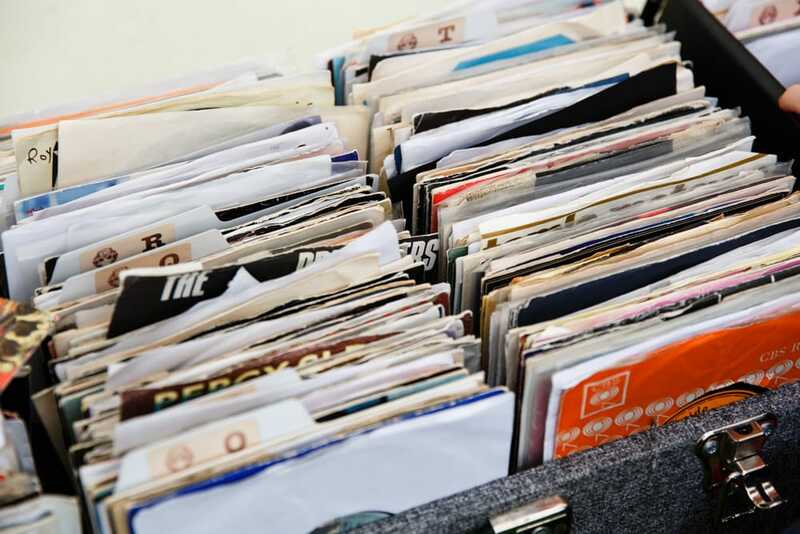 It was then off to the Village Hall which looked amazing and very festival themed, the hay bails, yurts, bunting and guests helping themselves to Ed’s Dad’s Vinyl collection gave it a real authentic festival feel. 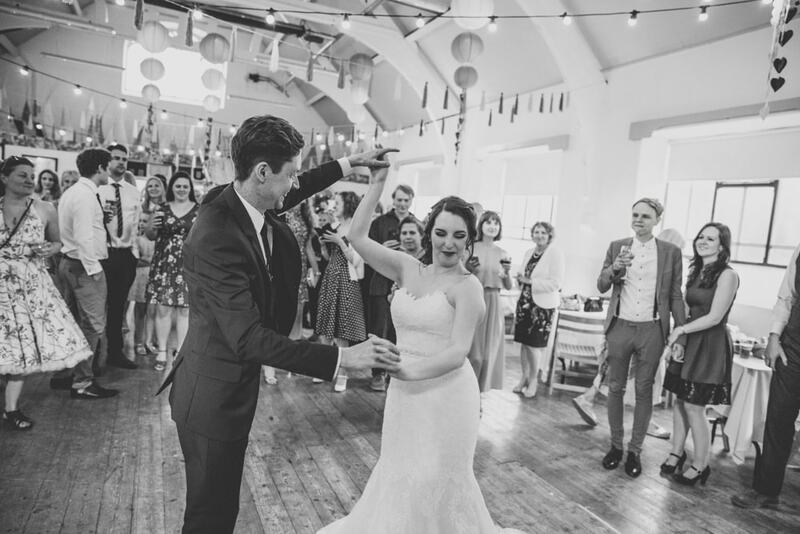 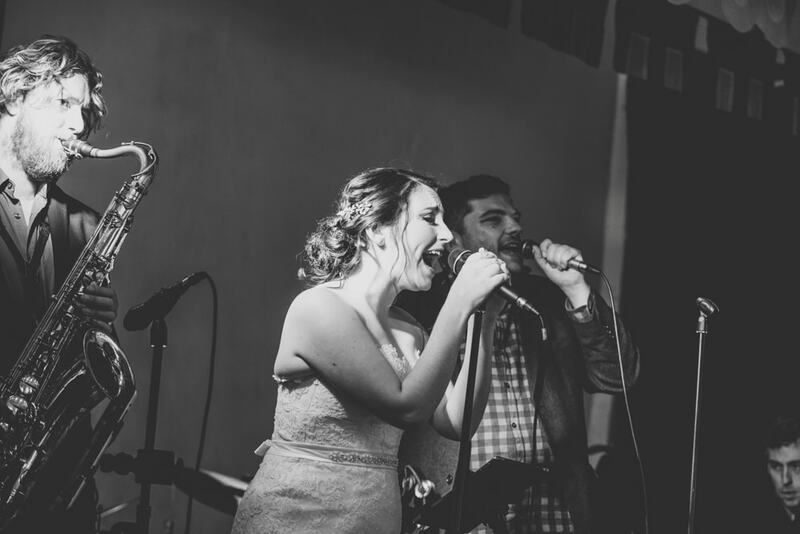 The couple didn’t want to do the first dance as they are both musicians it only seemed fitting that Ed played the Drums and Bryony sang their 1st song together. 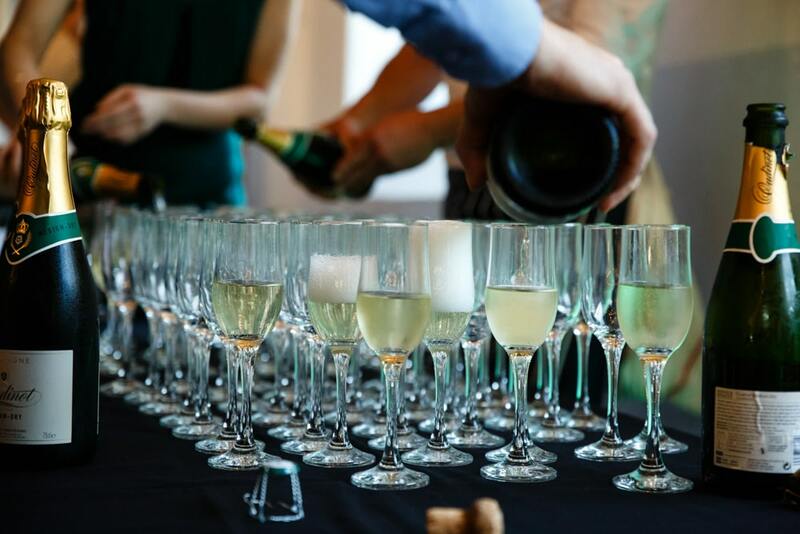 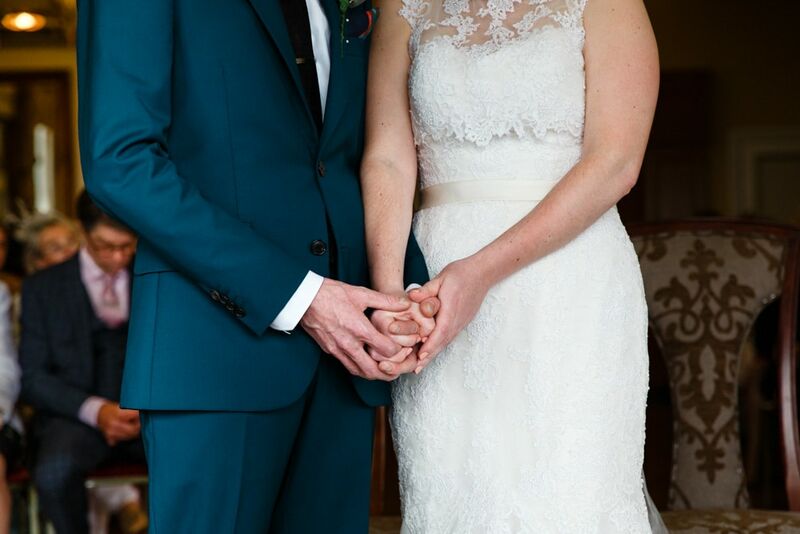 What an amazing day and night and we wish you guys all the very best.